Ok guys, this week is packed full of new content and ideas! 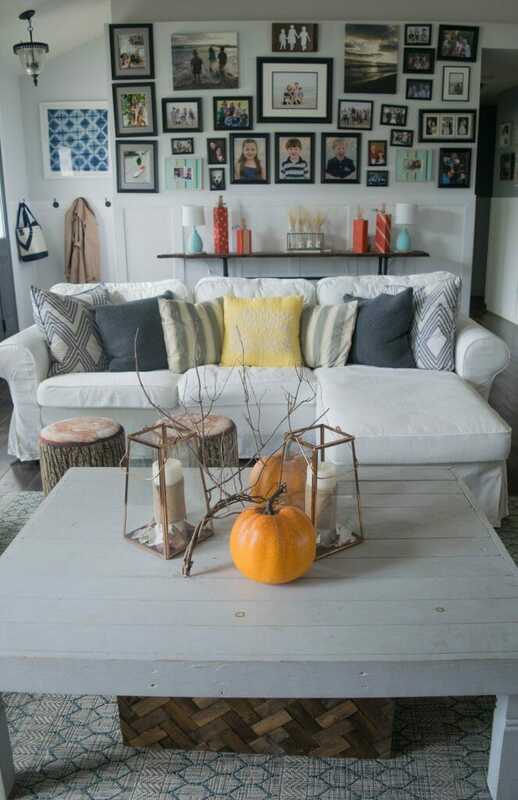 Today I am kicking things off with my Fall home tour. 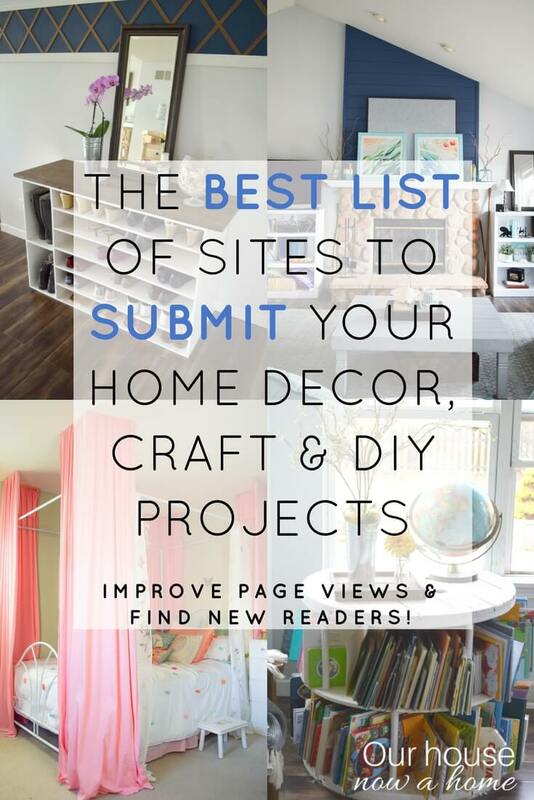 Like always, I decorate my home with a ton of DIY decor, simple crafts, low cost ideas, furniture redos, and thrift store finds. 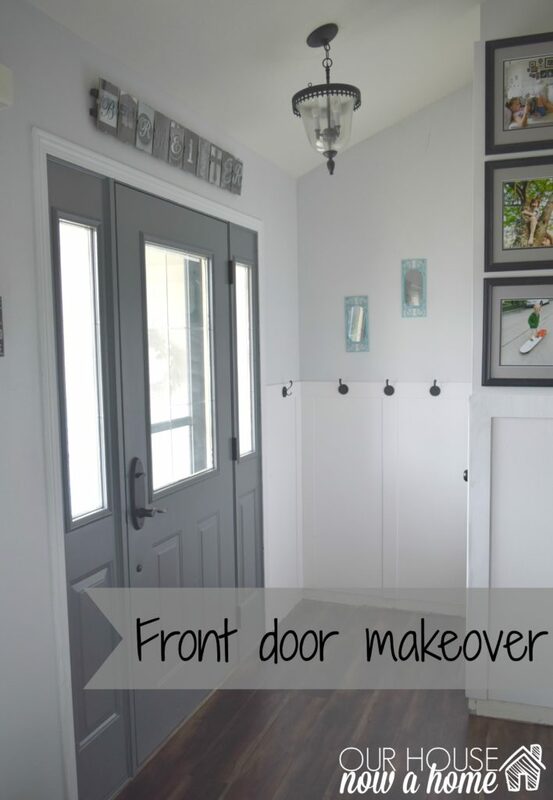 I will be sharing all of the DIY projects with any tutorials at the bottom of this post. 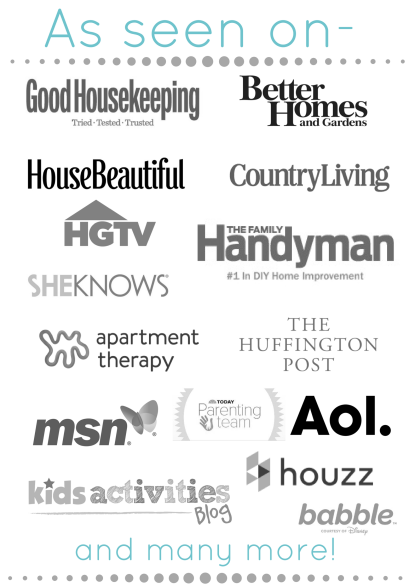 I hope to make it as easy as possible for anyone to find what they are looking for when perusing my home or blog. My house has been described as casual and bright. 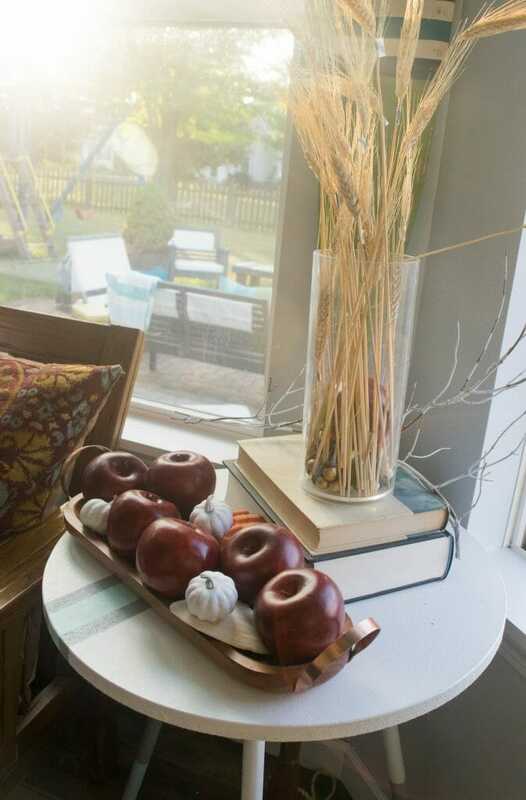 In the past I have shoved so much fall themed decor into my home this time of year that it is bursting at the seams. 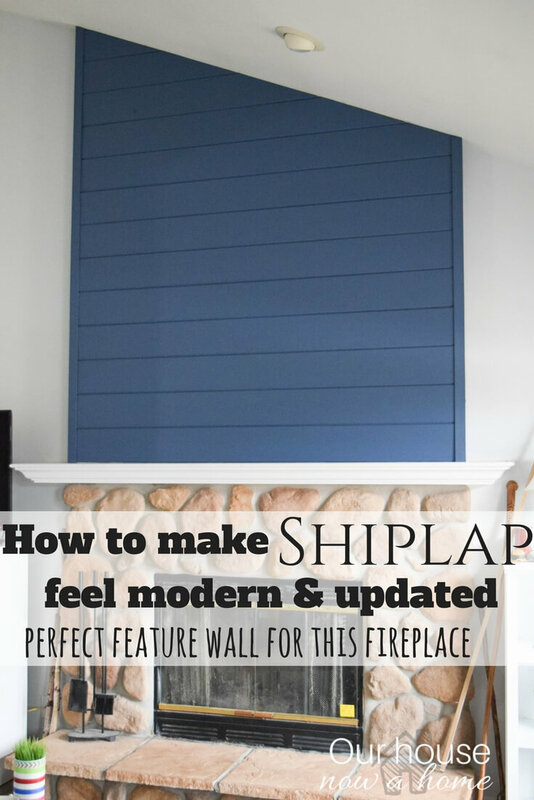 However, with the addition to the navy blue shiplap, blue rugs with patterns and some other features it has made me needing to change up my seasonal decor a little. 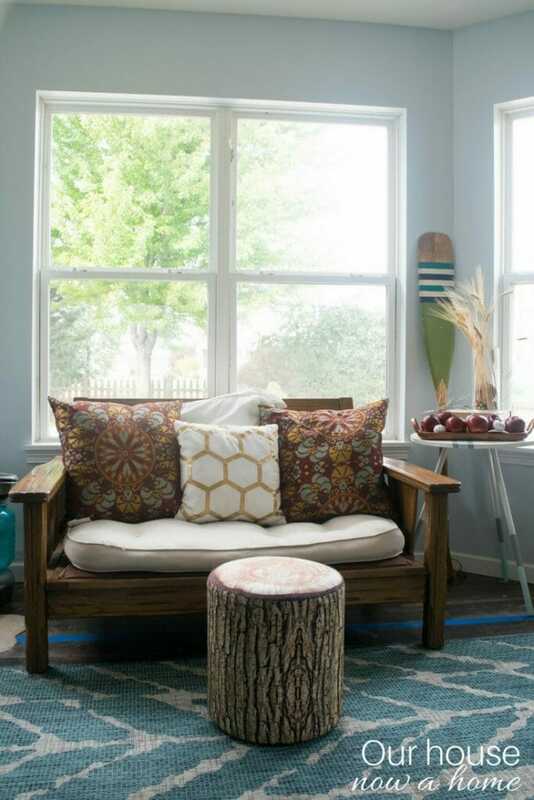 I am loving bright colors, bold geometric patterns and that California casual feel to my home. Which means the traditional orange, red, yellow, and tons of fall foilage does not feel authentic to my home anymore. So I sought out to simplify things this fall season. Tone the traditional fall decor down a little. Taking away a lot of orange and red, adding more neutral tones like white, beige, or cream. Making the gray colors already in my home work, and using more textures. For any time of year I love adding natural elements, sticks, wood, making a live edge console table, shells, and other rough nature items. Since moving to Wisconsin from California the one thing that stood out to me was fall, nature explodes into color like I never knew. Kidding! 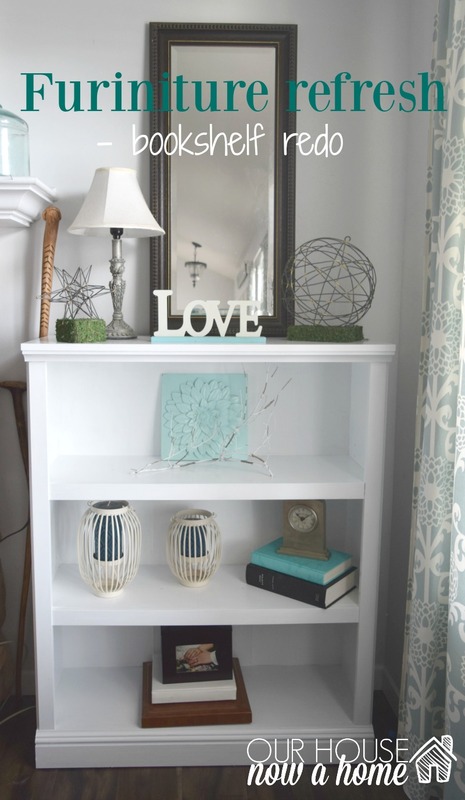 The important part to that story is showing how simple and low cost decorating your home can be. 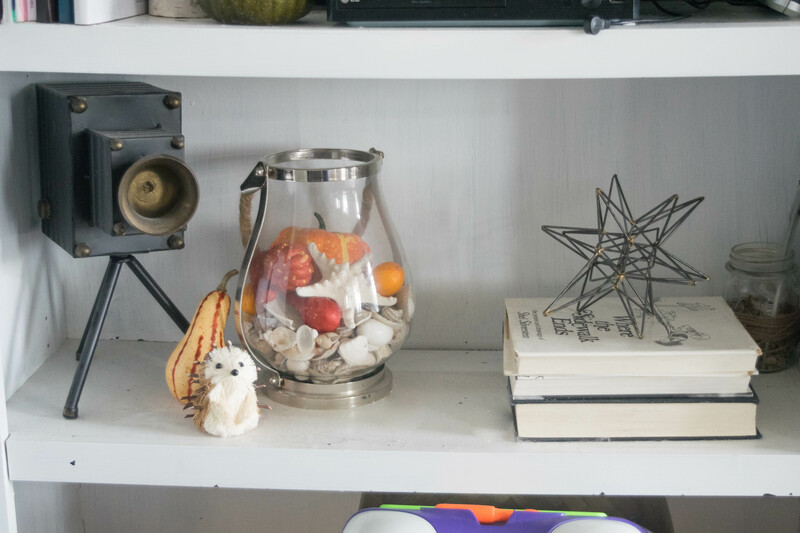 My fall home tour is filled with things I literally picked up in my back yard. 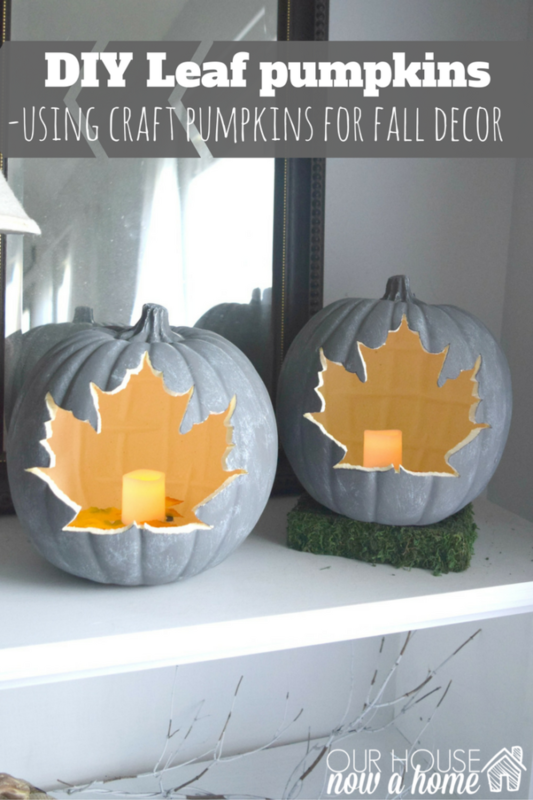 Or pumpkins, when in doubt decorate in pumpkins for fall! This home of ours is real and lived in. We have a family budget and going crazy with home decor is not allowed within our budget, so I have been forced to get creative to feed my love of decorating. To pull out all of the stops for each season can get expensive fast. 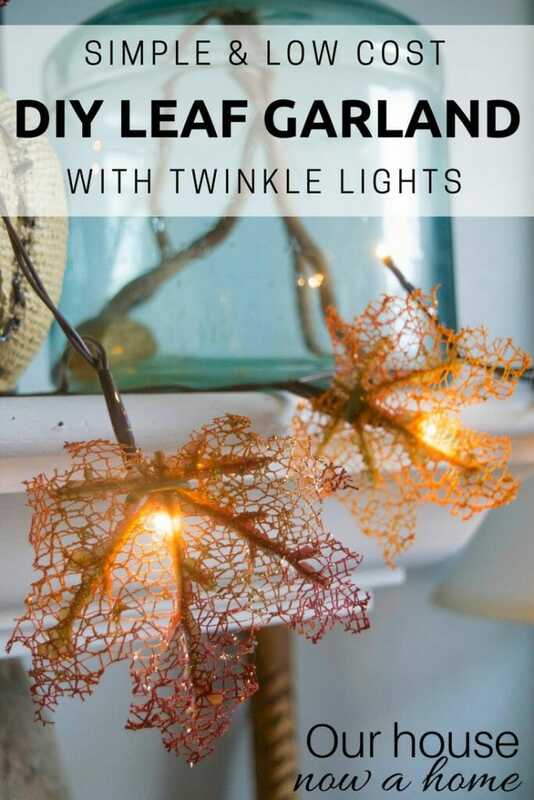 I like to get things for my home that can be transitioned into each season, letting them work from Winter all through until Fall. This is another way to cut the cost down. 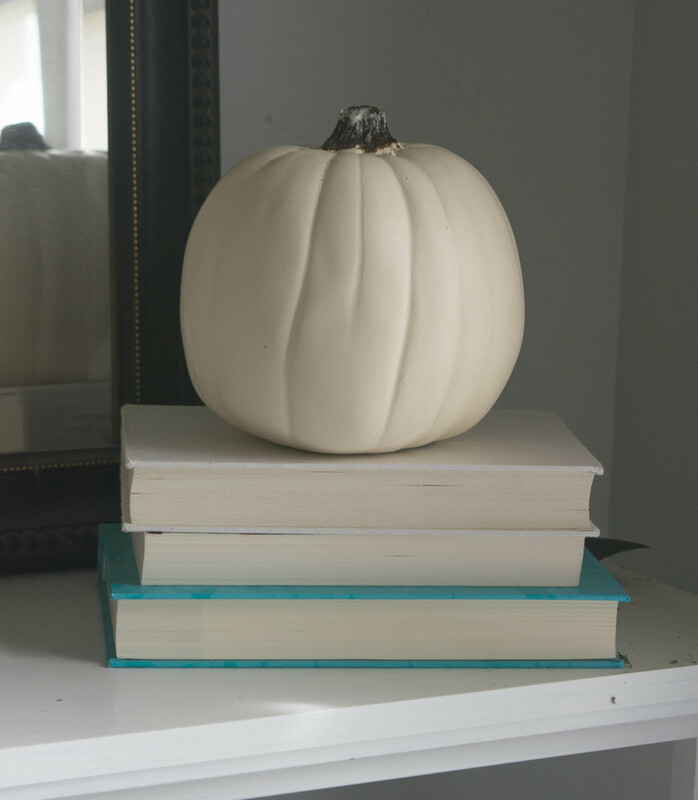 Next week I will be rolling out a lot of simple ways I transitioned my home for fall. 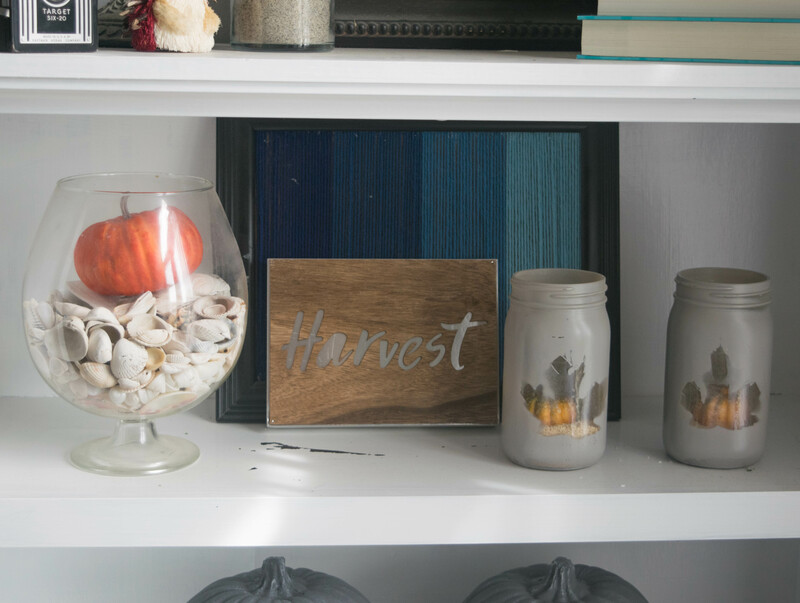 Explaining how I make my everyday decor work for fall. It is seriously so easy to do. 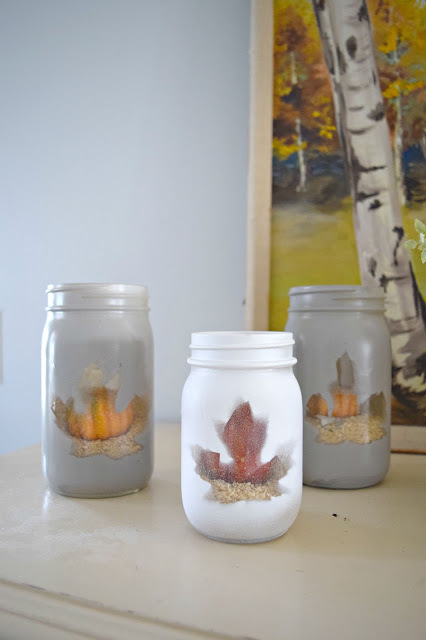 So be sure to check back in over the next few weeks as I share my simple fall crafts and decorating tips. I am not sure how I will make my living room work for Christmas time, making blue work with that holiday will be interesting. But, future me can figure that out. This year I added a lot more yellow to my home for fall. It felt like a great way to allow that light and bright feel I love for my home to still be there in fall. 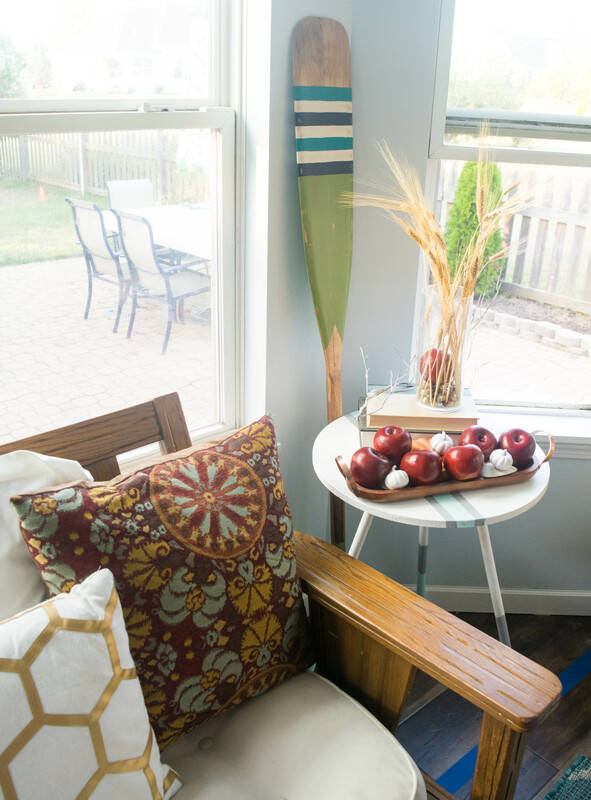 In the past I have felt like with seasonal decor it all simply puts our “home” on pause while I let the heavy fall decor shine. Then I get my house back after Christmas and the New Year. This year I was determined to make my home feel authentic for the whole year. That meant making my typical color scheme and style work for fall. 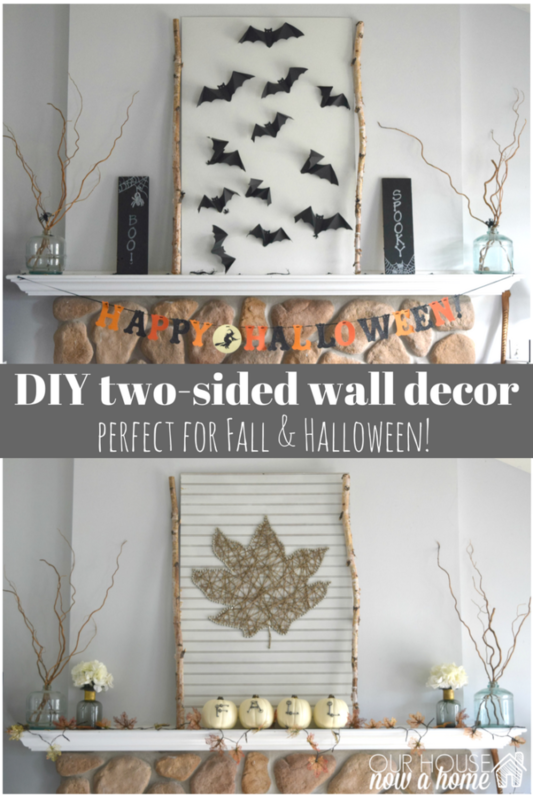 I did a lot of that with parring things down, taking my fall decor down a notch. 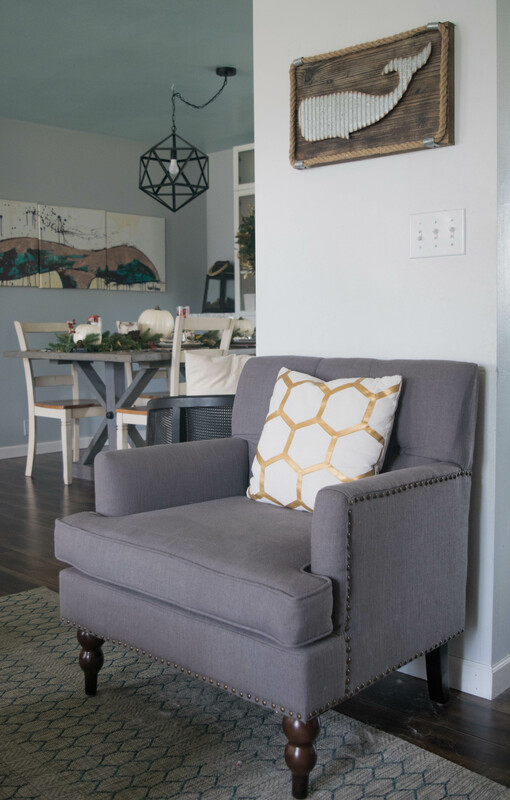 Using more gray colors, which is a pretty big part of my home year round. Also, removing clutter. Instead of setting the fall decor on top of my year round decor I removed some items and allowed the fall items to be the decor. 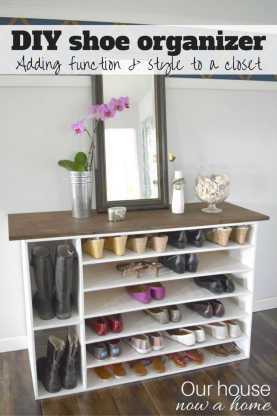 Cleaning up the space and minimizing the clutter. I also realized that orange, yellow, blue and gray are all great colors to mix together. 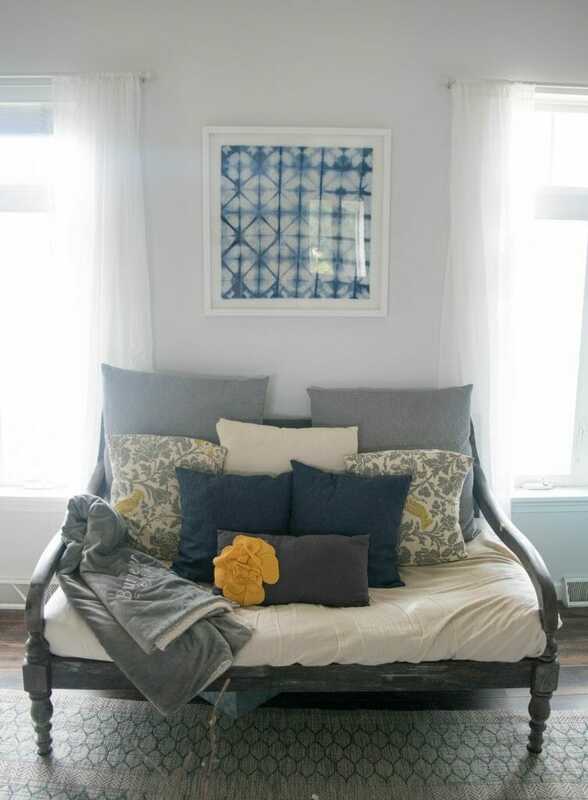 Gray is the mainstay in my home, with blue being the much needed pop of color. Year-round I use a lot of turquoise in my home. 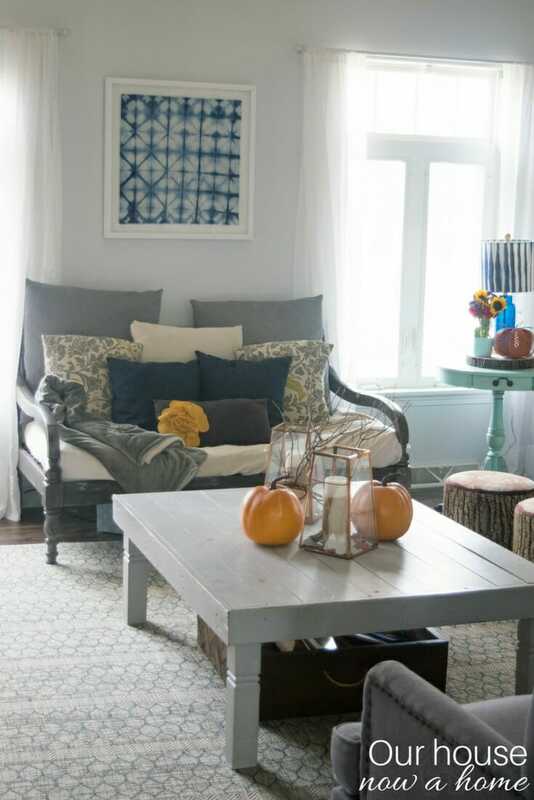 But letting darker blues be a part of the fall decor allows all of the colors to blend well. Something you may have noticed is that my sofa looks different. 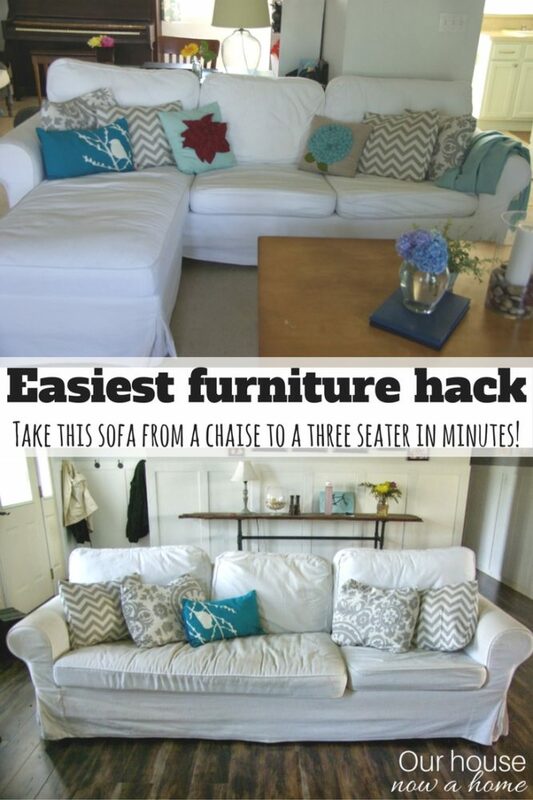 I actually have the Ikea Ektorp chaise sectional, but for a few years now I was able to create a hack that allowed the chaise portion to be removed and just have the sofa part of it be there. We had to get a new sofa cover thanks to our dog Finn thinking he should scratch the cover up to the point of seeing the cushion innards. I had planned to get a new one, graduate from the 100% slip covered sofa and get a real grown up sofa. But, the appeal of a sofa that is kid proof was too high. We are not in the phase of life for a spot free home. 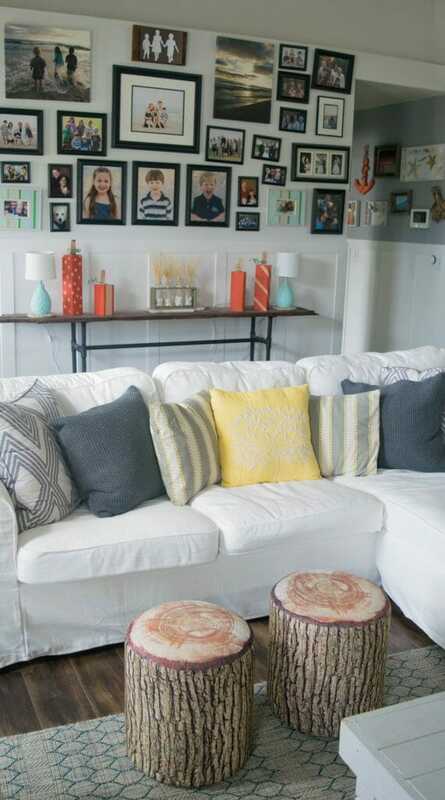 People always ask me how I am able to have a white sofa, and that is because it has been bleached a ton of times. So instead of getting a new sofa I just decided to get a new slipcover, but wanted to use the chaise portion again. Changing things up a little. 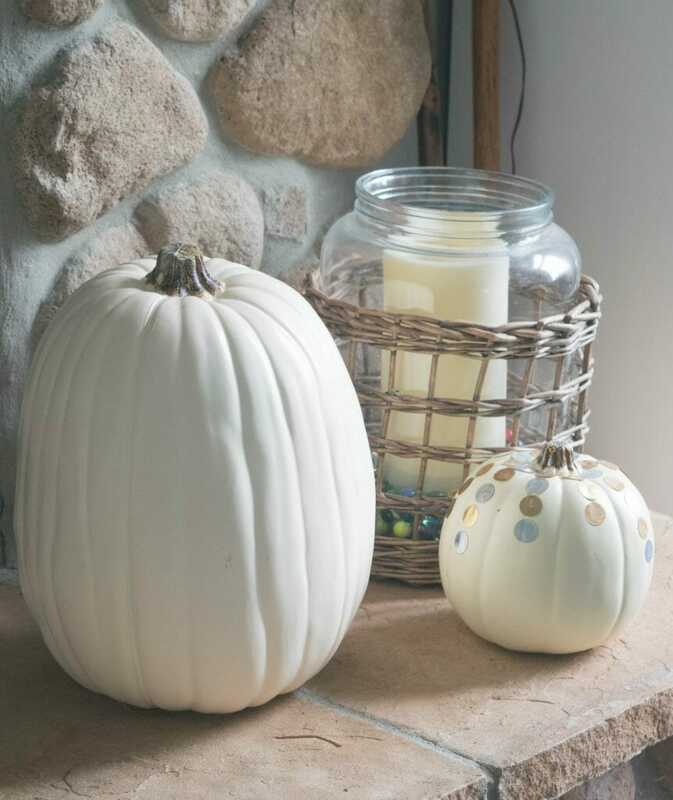 White pumpkins for the win! 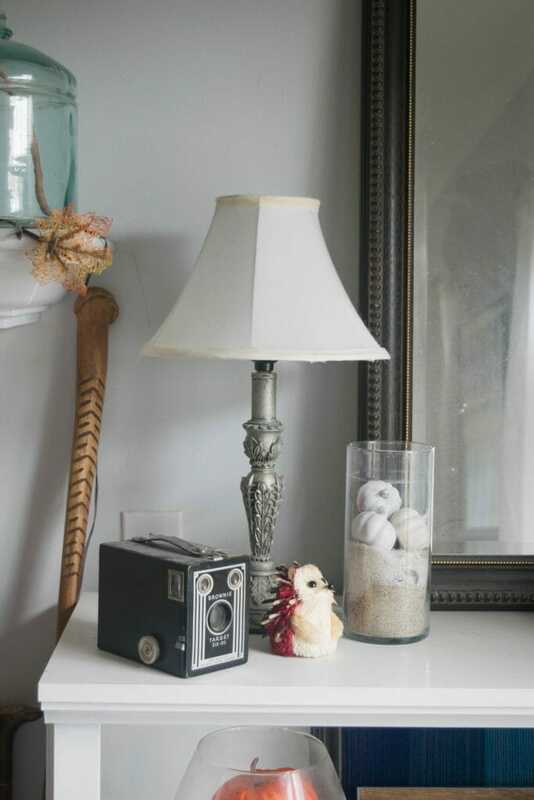 Neutral is the way to go when wanting to blend in the year-round decor for fall. Since I have a new sofa/chaise thing happening in my living room I am still playing around with the furniture arrangement. 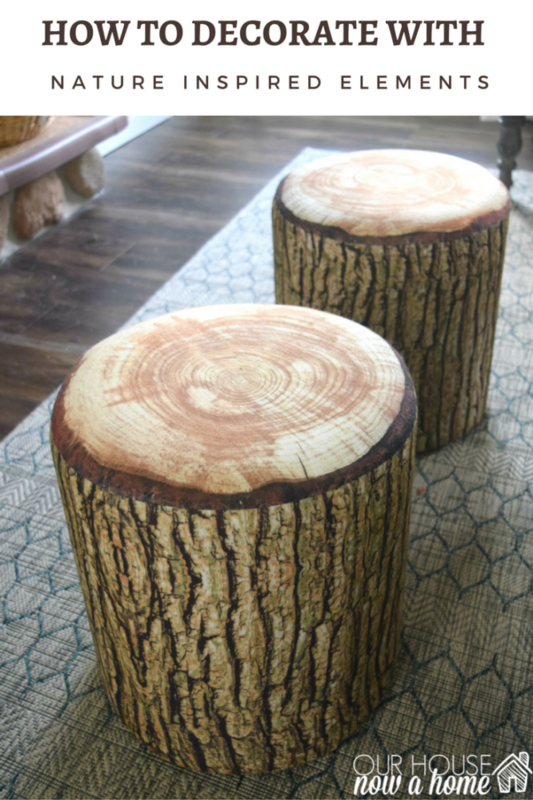 I am loving these tree bark stools (which I get asked about all-the-time). To make the coffee table still work in my living room I had to scoot it forward, but there was a big empty space by the front of my sofa. 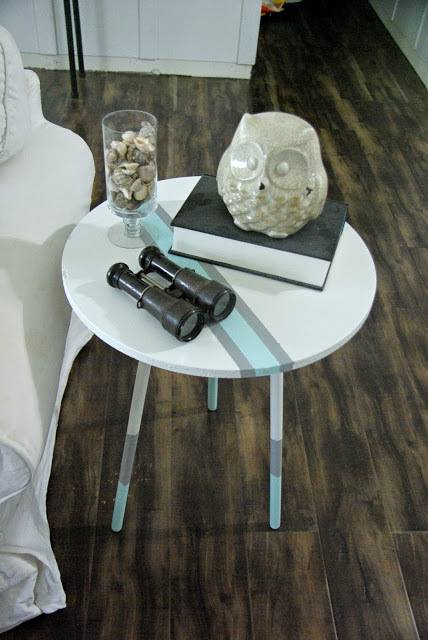 So I put these stools in between the coffee table and sofa, so far we are loving it! Along with not being in a phase of life that can be without a slip covered sofa, we also cannot be without a coffee table. My kids sit on this table as much as normal people sit on the sofa or a chair. But, we all know kids are not “normal” and my kids sit their cute little butts on this table any chance they can get. Luckily it is sturdy enough to hold them because it is formerly a dining room table that I cut the legs down and added the wood planks to. 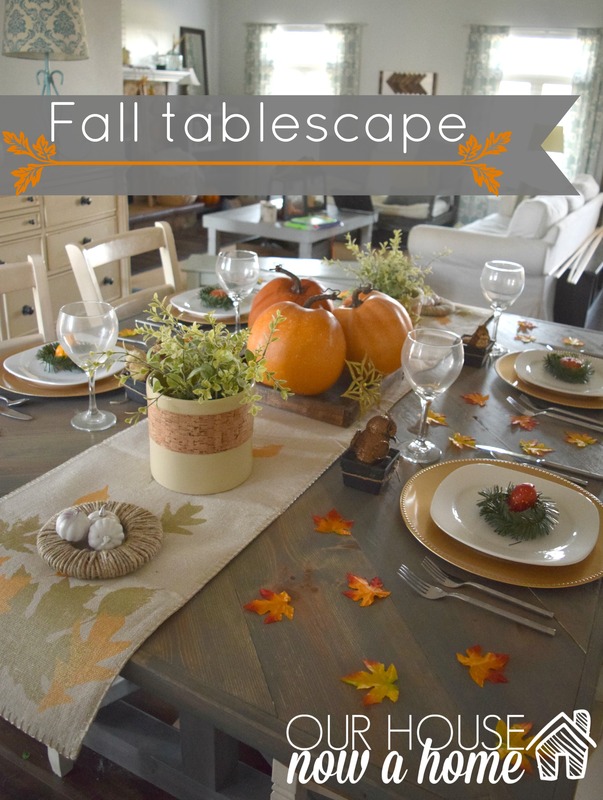 I will be sharing my fall dining room and tablescape next week. 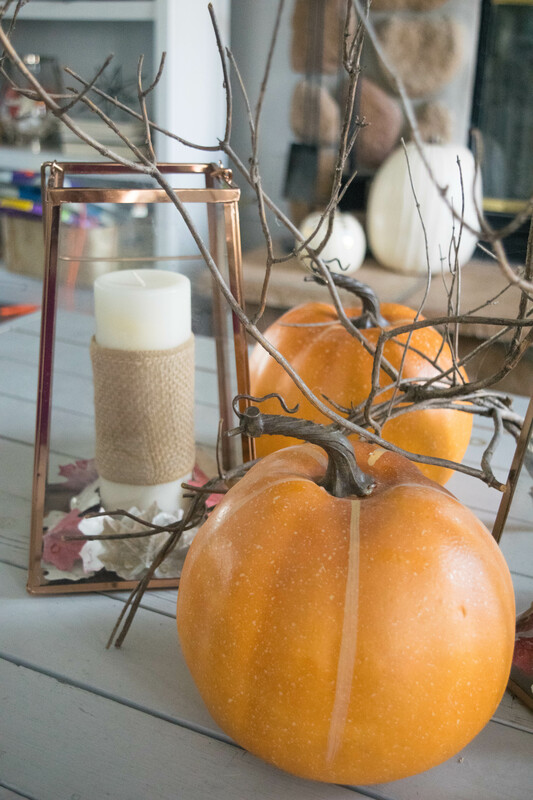 There is a lot of great tips I have for the table decor and making seasonal decor work for more than one season. 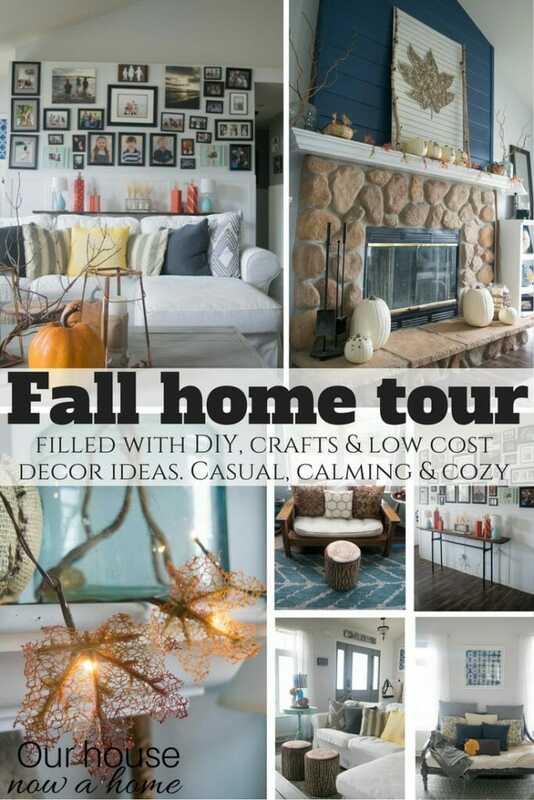 Too much to pack into this Fall home tour so i felt it best to do a post of it’s own, which will be shared next week. Fun little fact, my kids love decorating! When I brought up all of the fall decor bins from the basement my three kids were opening them up and running wild with the items. I did move some of it, but kept a lot the same. 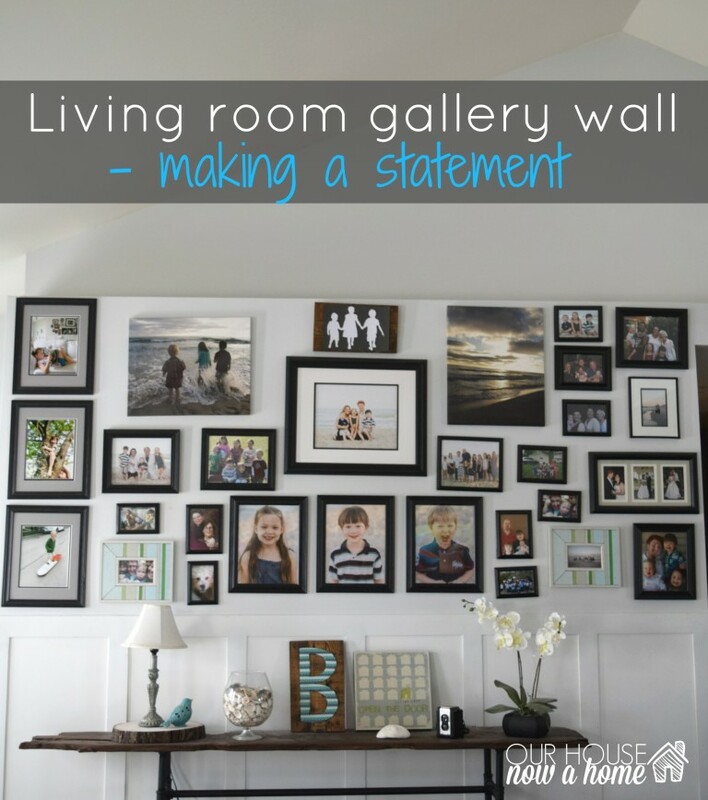 This is not just my home, I do not just decorate for this blog. I decorate for my family, this space is for all 5 of us. So them putting their own touch onto the decor is very important. All of these little pumpkins, woodland creatures and tiny decor items are all courtesy of my three wonderfully sweet kids. Pro decorating tip (even though I am not a pro) when in doubt, buy throw pillows. You can never have enough of these beauties! They add such warmth and coziness to a space. Fall to me is the coziest season of all, crisp and cooler temperatures, legit sweater weather. Pillows everywhere just adds to that coziness. 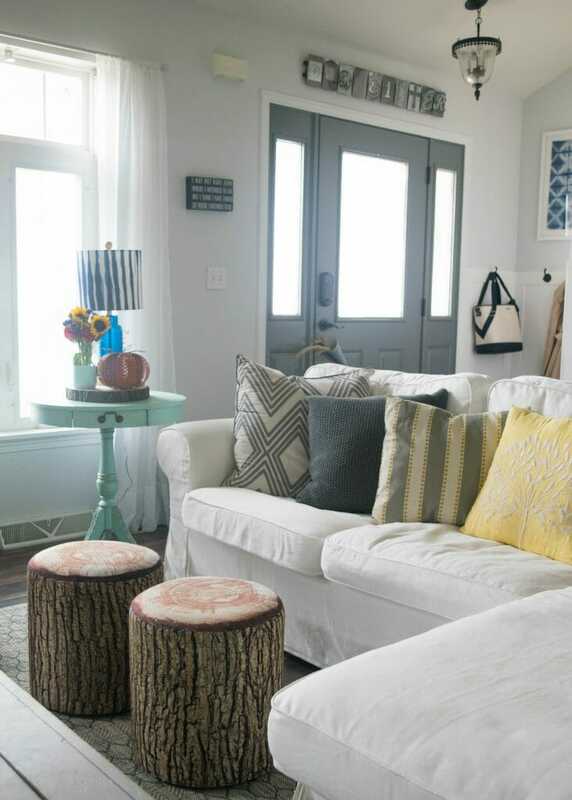 It also is the easiest way to decorate for a different season, just swap out the pillows. Yep, I am loving this new sofa arrangement! 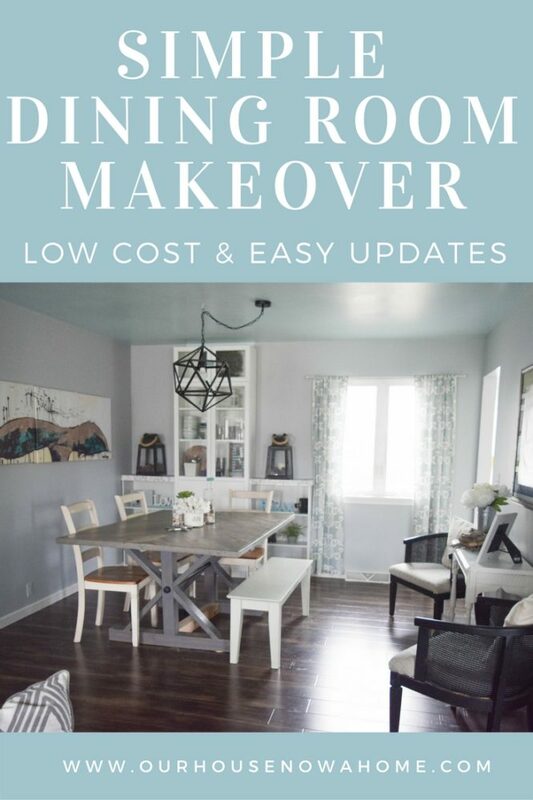 Here is the tiny sneak peek of the dining room. You will see all of it next week, I promise! 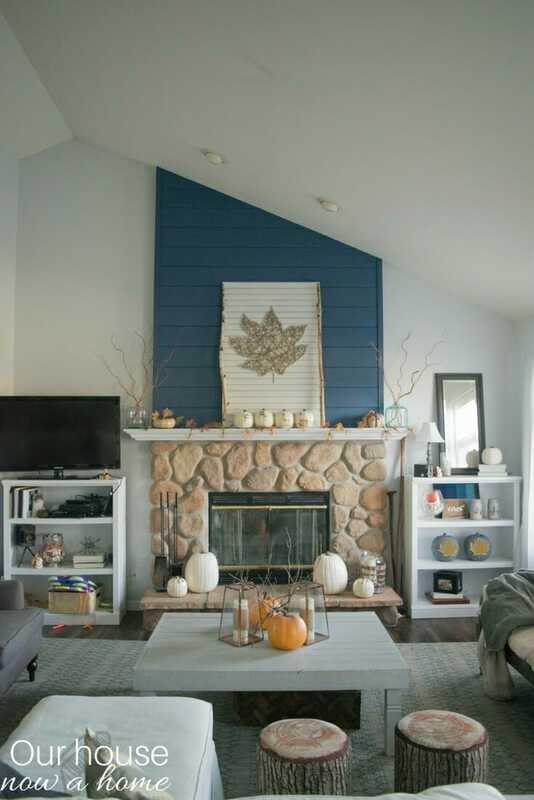 Here is another example of making my home style work for fall. I am a born and raise Southern California girl, and we spend a lot of time in the summer on the same beaches I grew up visiting. 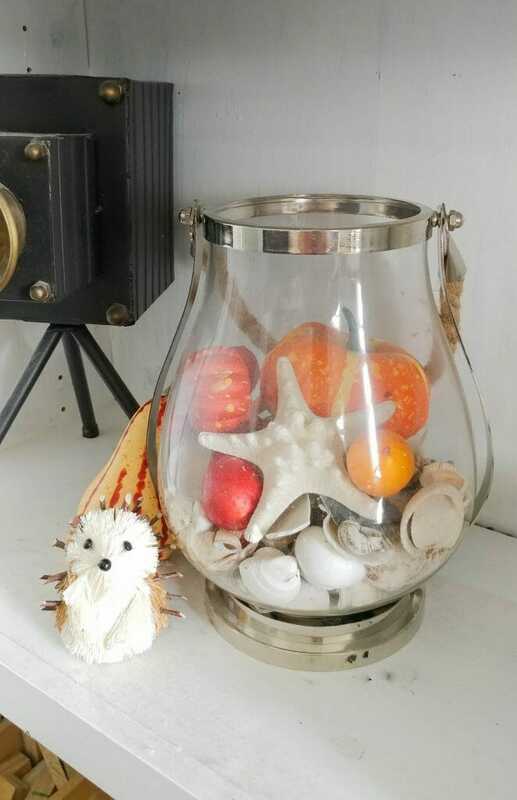 So my home being filled with coastal inspired decor feels very authentic to me. But, that has made my home become a little split personality during the holidays. 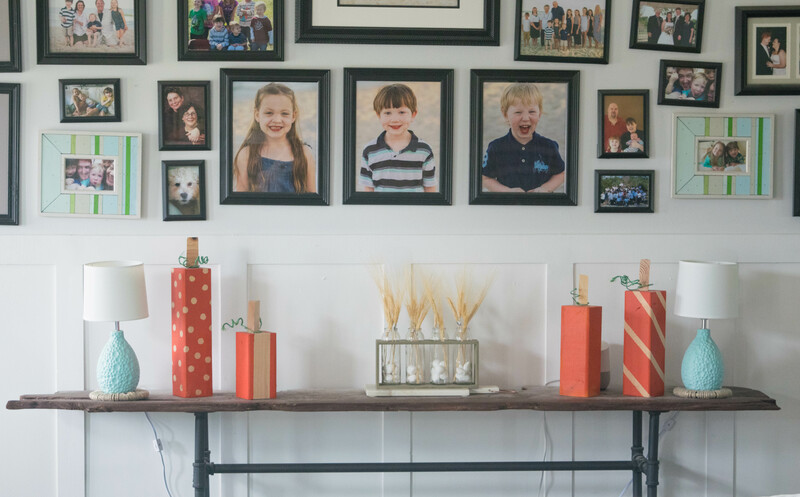 Coastal decor does not blend well with fall and Christmas. 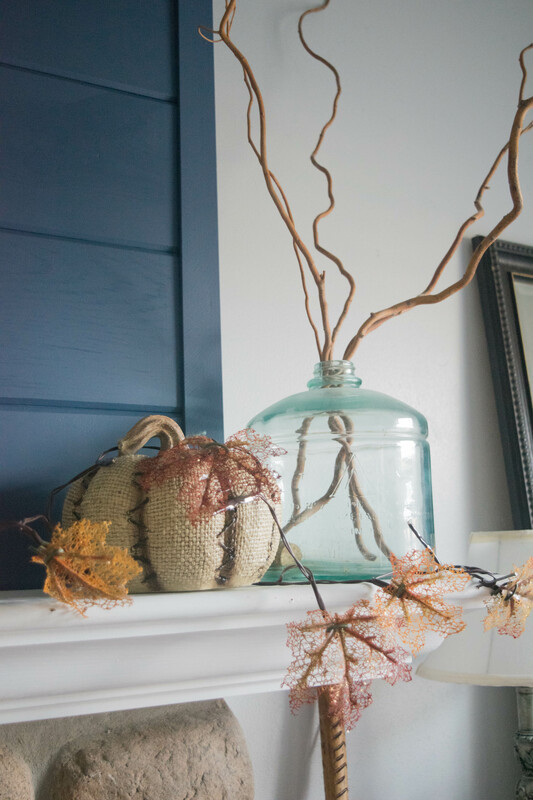 So typically I have removed the coastal items in my home for fall. 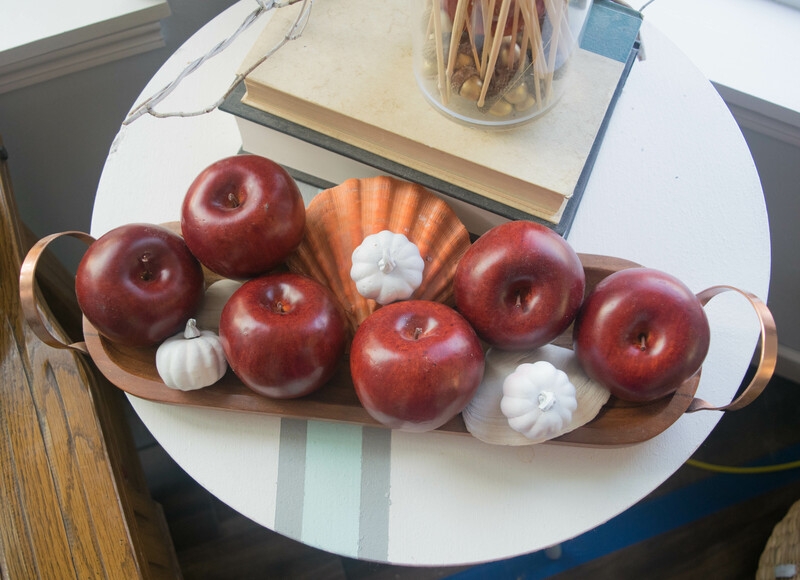 This year I stretched my decorating cajones and made the beach themed items work with my fall decorations. 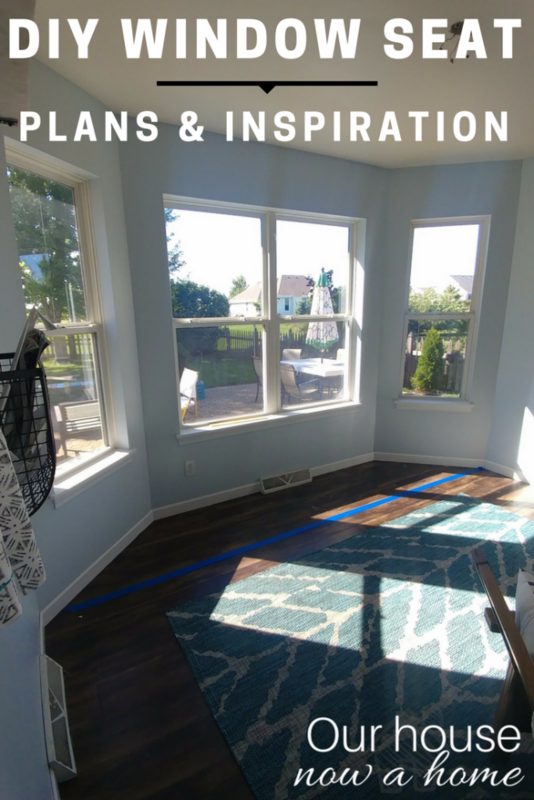 This room will feel very different once the window seat is built, and I hope to finally get working on it soon. I explained the plans a few weeks ago on here, but life and back to school got in the way of actually making it happen. Guys, I am not a patient person, when I make a decision I like to move on it right away. So this window seat not happening by now is frustrating. But, it will happen! Oh the sun is extra golden and beautiful this time of year. This is what I hoped to emulate for my home in fall, the natural beauty of it. 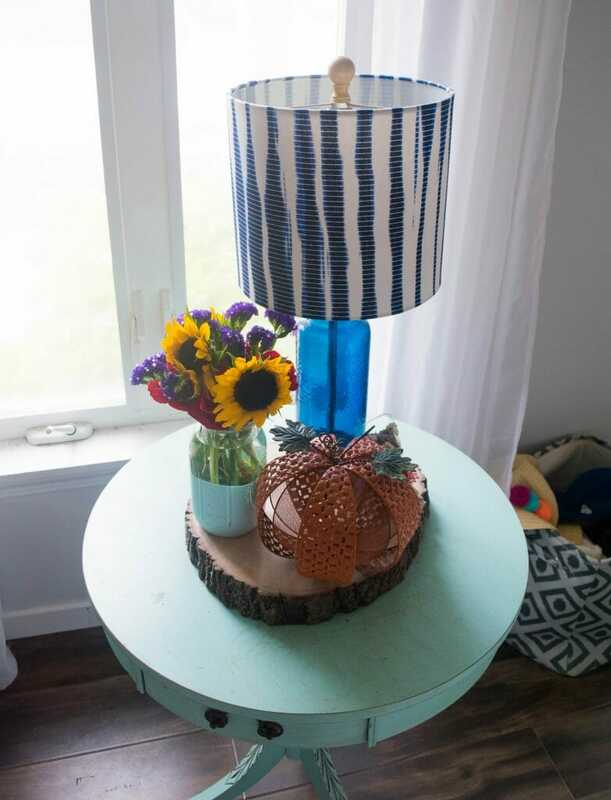 Part of showing off that is making my home work for fall with it’s natural habitat. 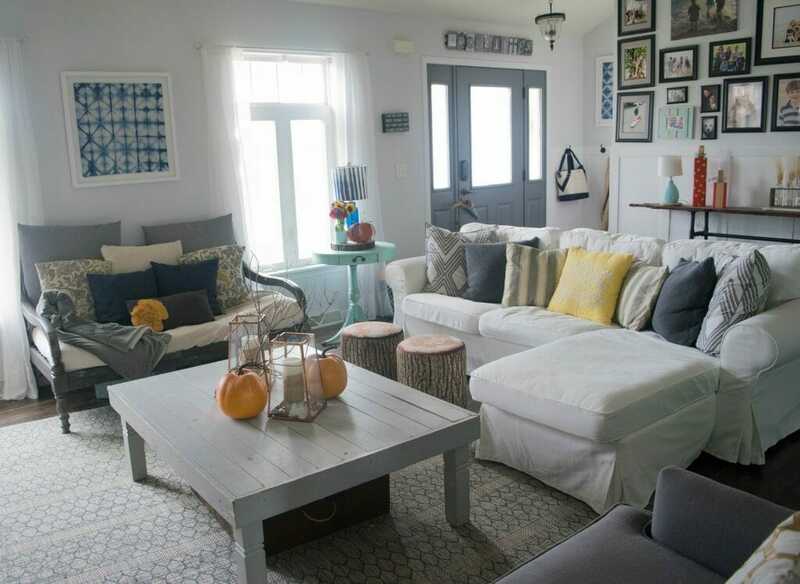 Which is blue, gray, rustic elements, bold patterns, coastal and beach prettiness. After the heat and humid summer days Fall seems like the natural progression to that temperature. 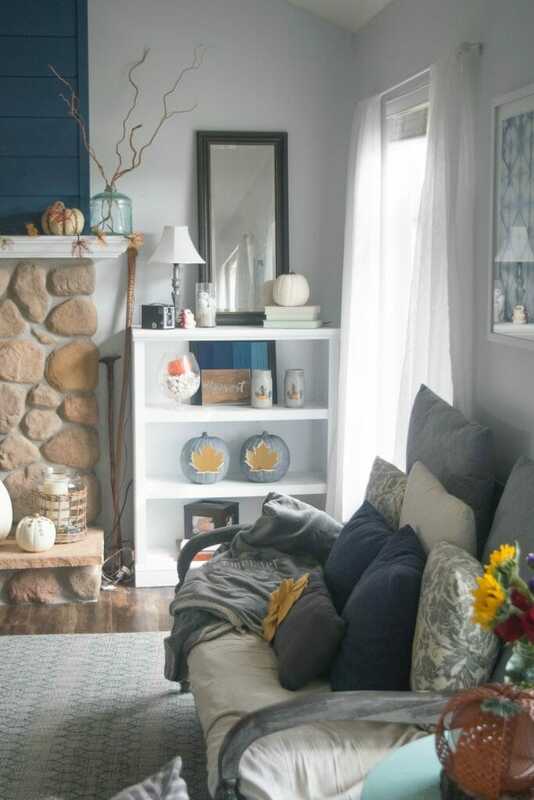 Making my home seem like a natural progression into fall is a way I am able to maintain that casual and relaxing feel. Whelp, I think I have talked enough in this post. I feel like with the busyness of summer that I did not have the time to blog right, decorate enough and check in with you all. 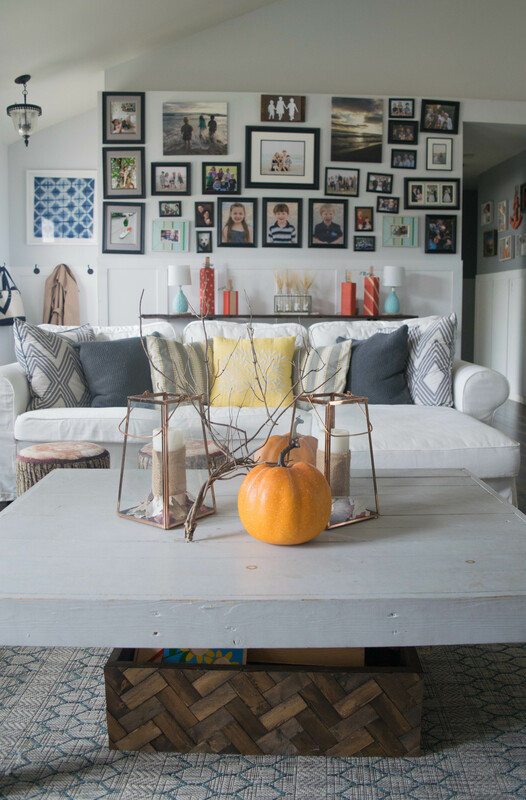 I am jumping back into all of that with this Fall home tour of mine. 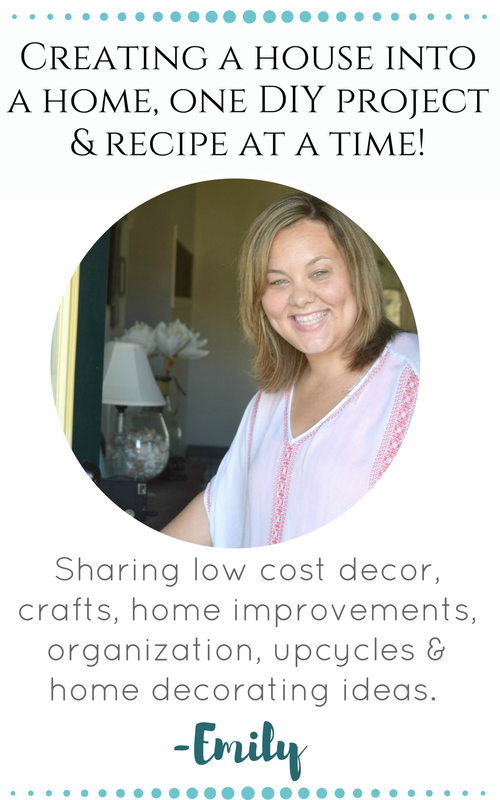 I plan to be doing a lot more decorating, DIY, crafts, and I also hope to explain decorating. 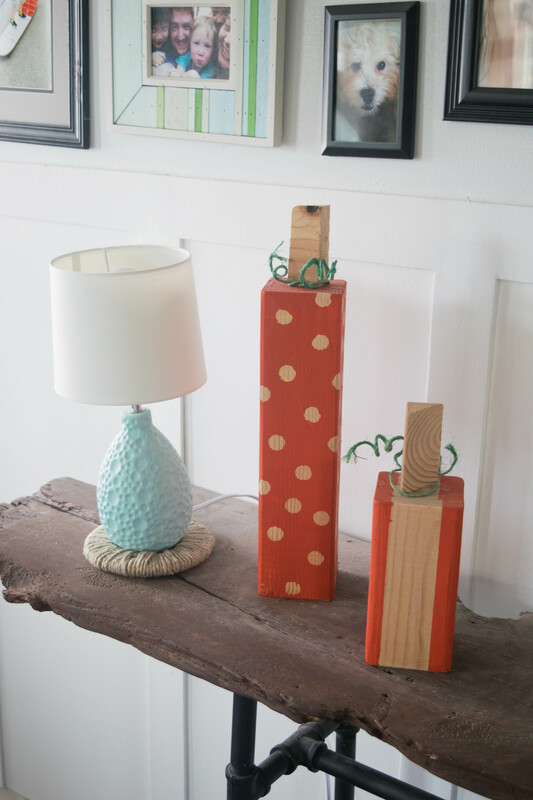 Peel away any nervousness some may have to jump into decorating their homes. Anyways, my plans will be rolled out in time. 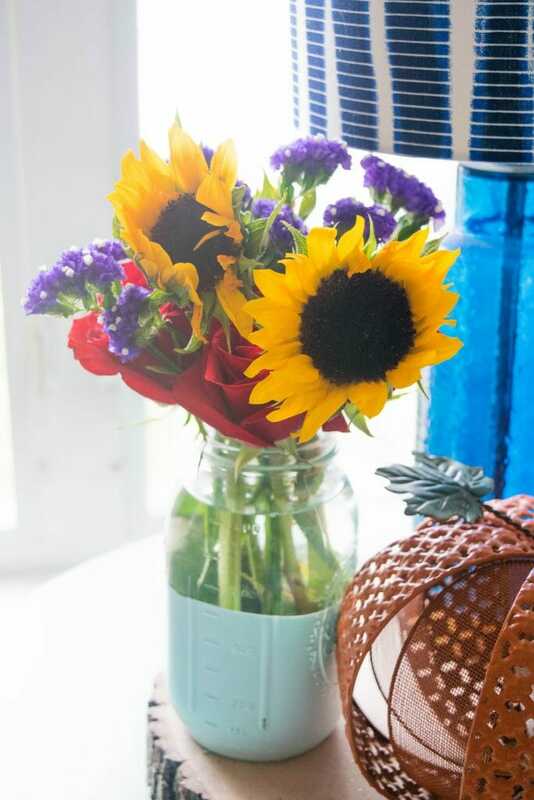 For now, get ready for that wonderful season that is fall! 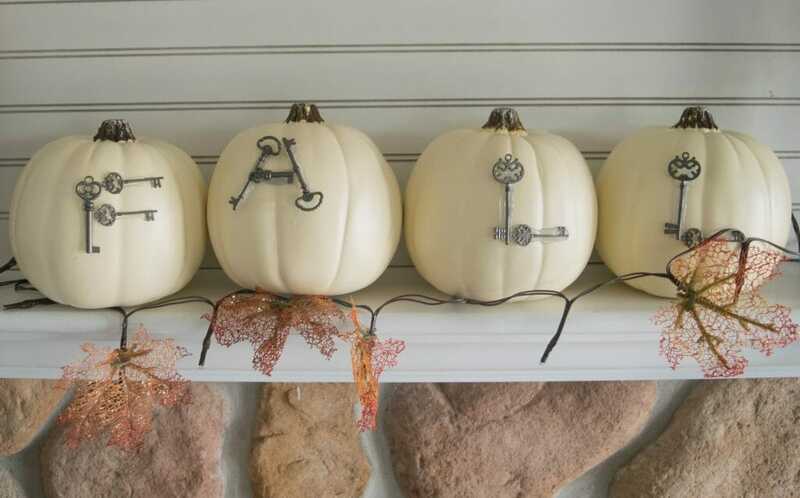 Those 4×4 pumpkins are absolutely the cutest! 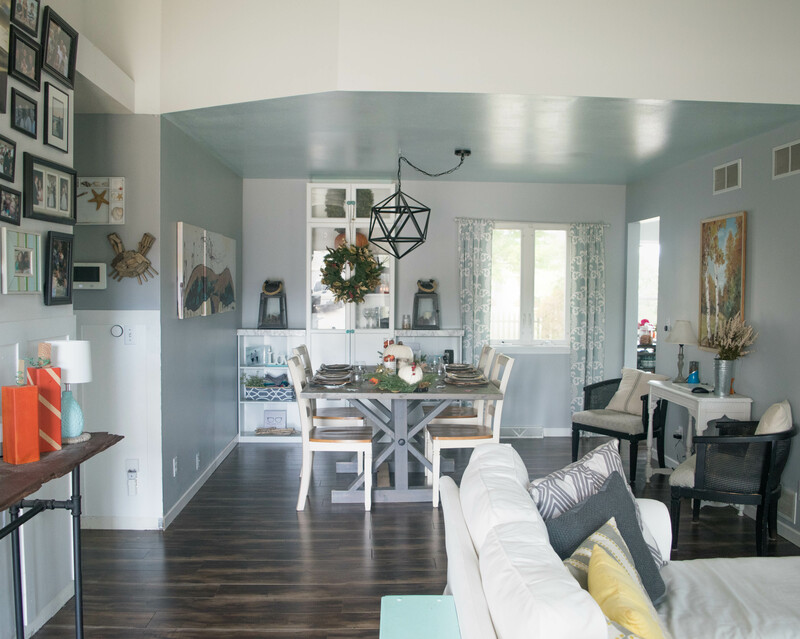 I love the bright feel of your home, it is just so beautiful! That fireplace, tho!! OMG what a gorgeous space that is. 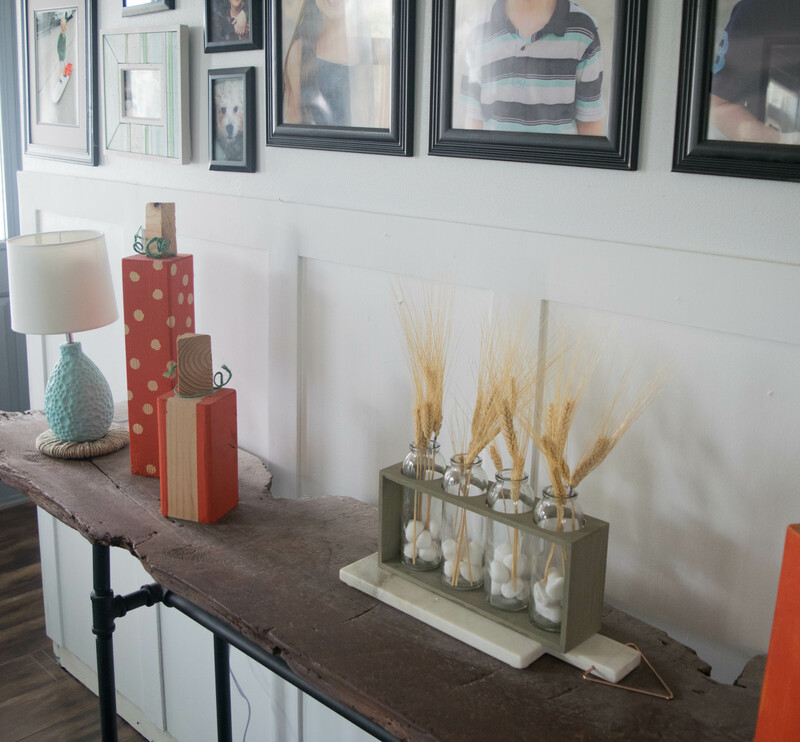 I Love the rustic look and the decorations in there are all so perfect for that room. 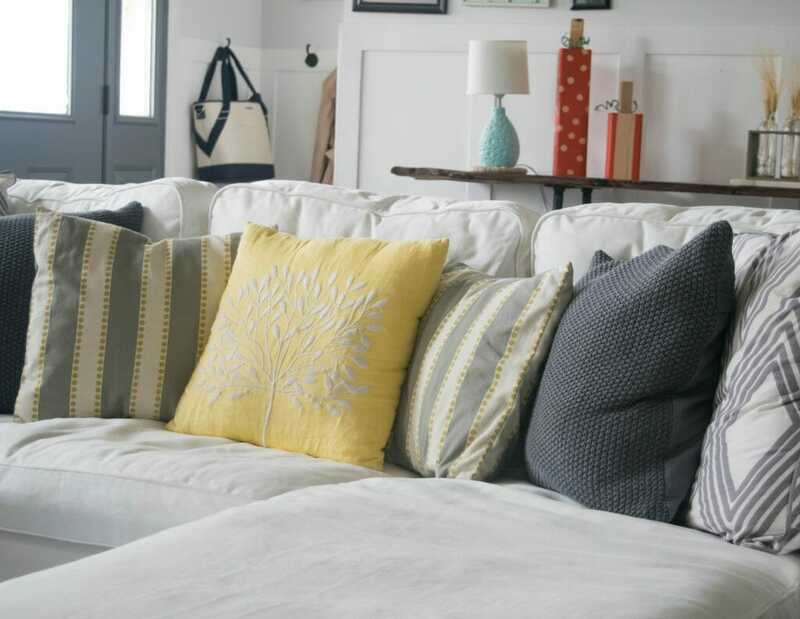 Changing out the pillows is always an easy and great way to change up for the different seasons. 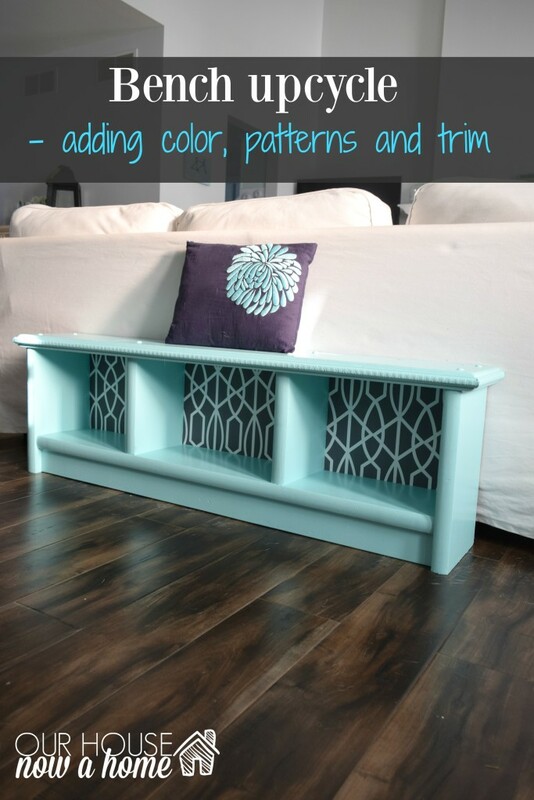 Adding coloring here and there with decorating is wonderful and turned out great. I don’t know where to begin except to say I love it all. 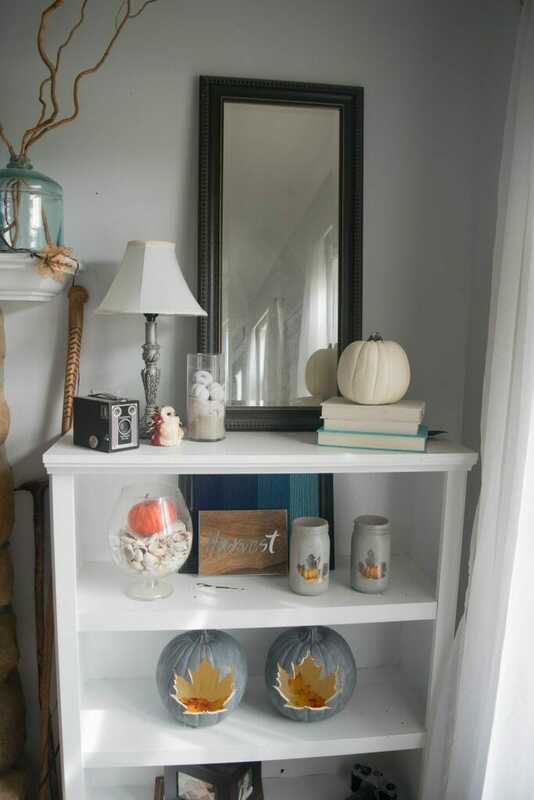 That console table is amazing and those wooden pumpkins are adorable. 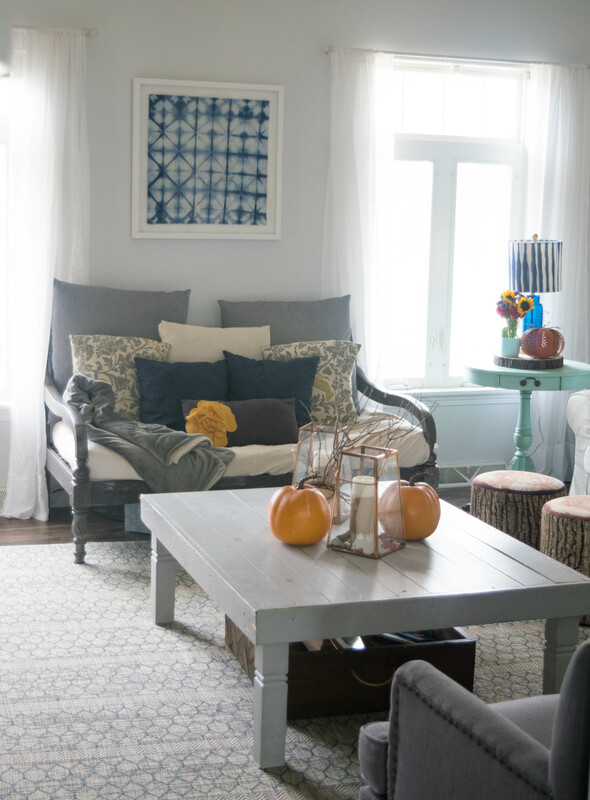 I love how bight and airy your home looks and I think you’ve got the perfect amount of fall happening in your house. Beautiful! I love seeing how other people decorate their home for fall. Your place is beautiful. 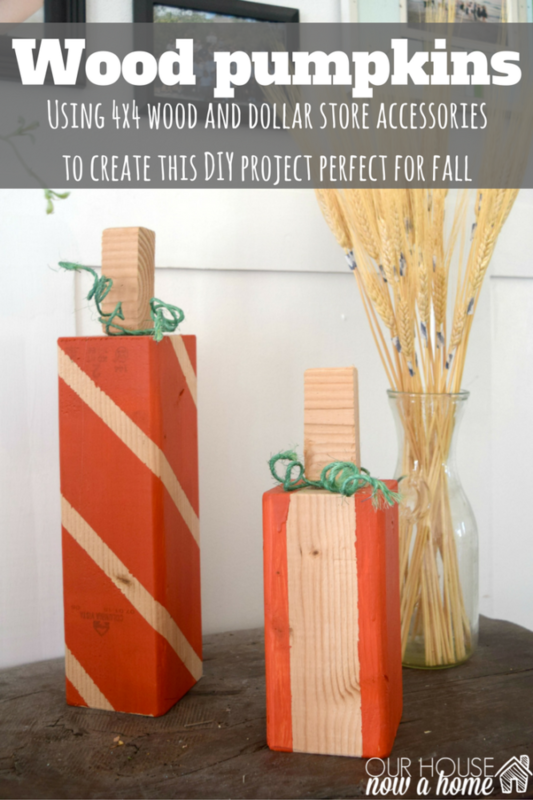 I love the wooden pumpkins made of 2×2 or 3×3! Gorgeous! Your home is absolutely beautiful and I love how you have decorated it for autumn, the hall in particular is just lovely that wood table is lovely. Your house looks gorgeous! I don’t even have a poodle up in my house. I could definitely use your help. 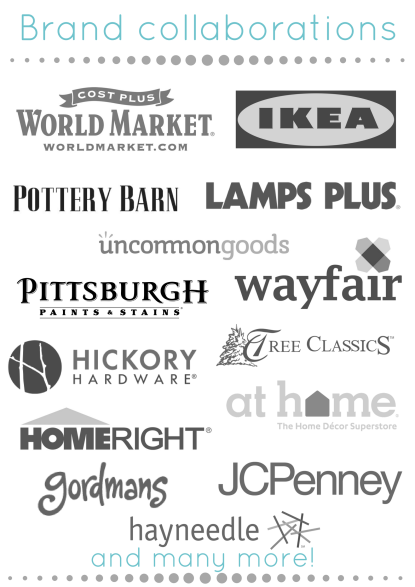 My house could use a huge update and these suggestions will help me a lot. Your home is so beautiful! 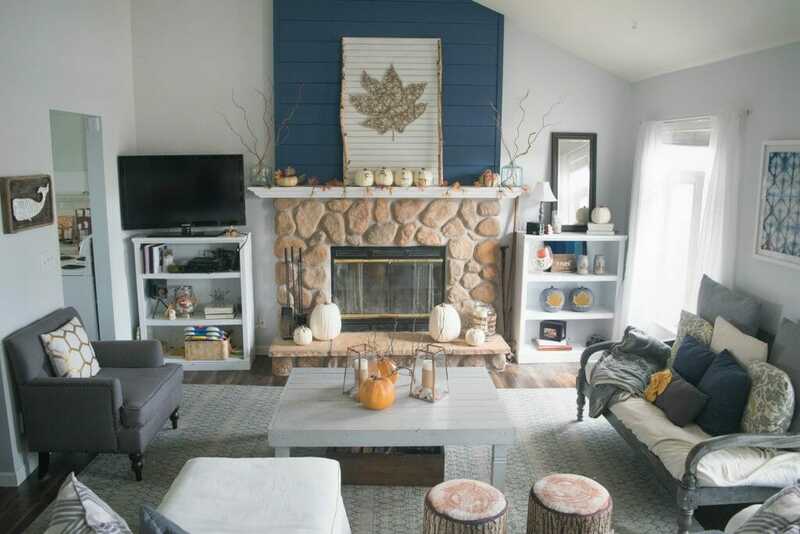 I love all the Fall decor! You’ve inspired me to get out my decorations early this year! Lovely and inspirational, as always. 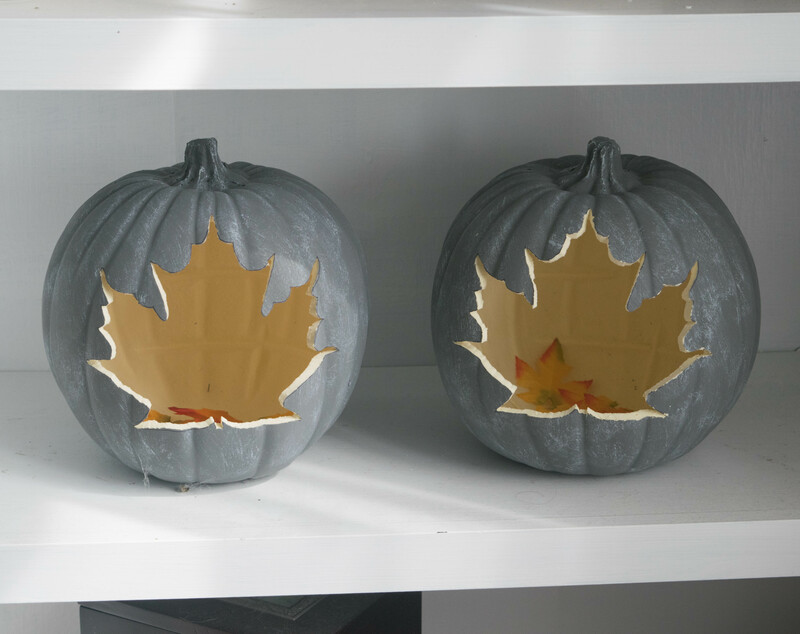 I swear, I keep seeing those white pumpkins and I’m not so sure how I feel about them, but you might have convinced me to give them a try! Can you come decorate my house? I love how you did yours! 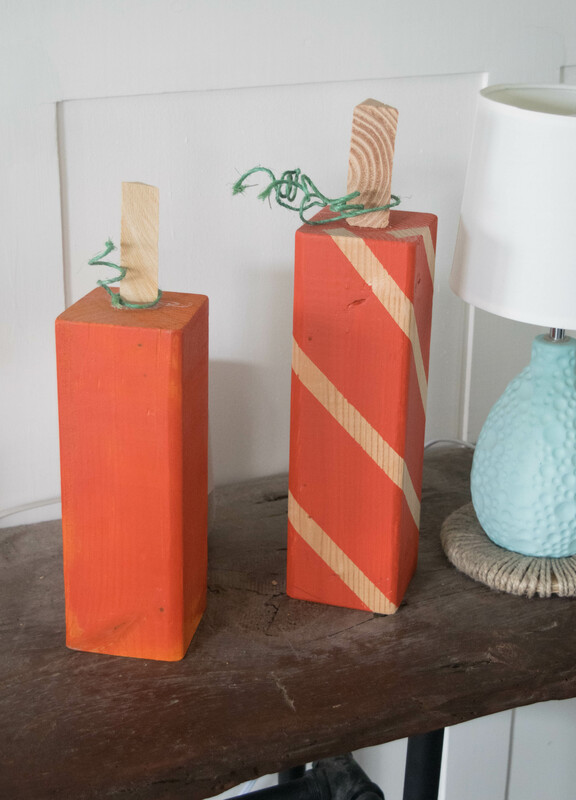 The wooden pumpkins might be favorite thing, because they are unique and fun. This house looks like out of a movie! 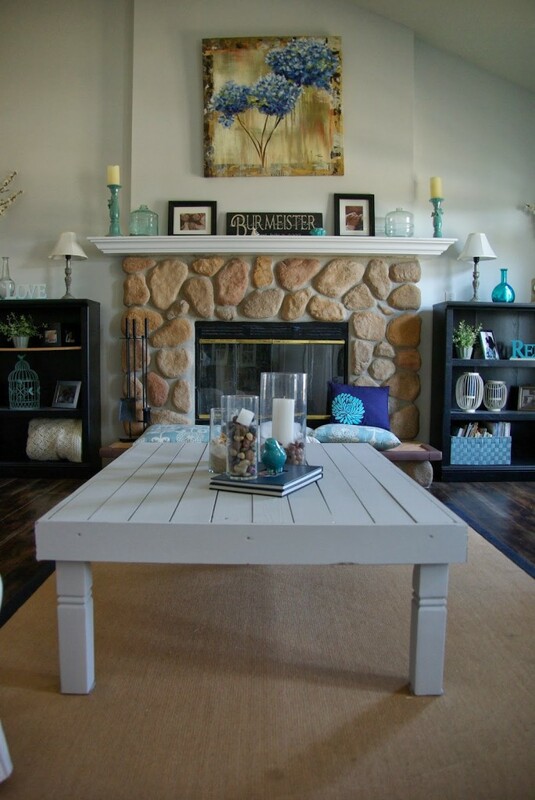 Your sun room must be everybody’s favorite place, and I don’t know why but I love your white coffee table! I love the pop of color that fall adds. It’s like that first part of fall when the morph of color begins. Just a pop here and a pop there. Your home is beautiful and I love that it still has the coastal vibe with a reflection of fall. What a great room. 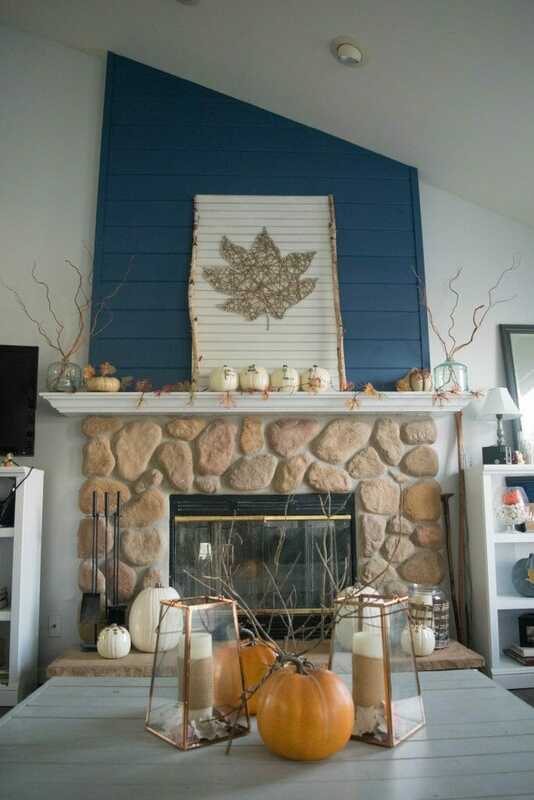 It is amazing what adding some twigs and pumpkins can do for a room. 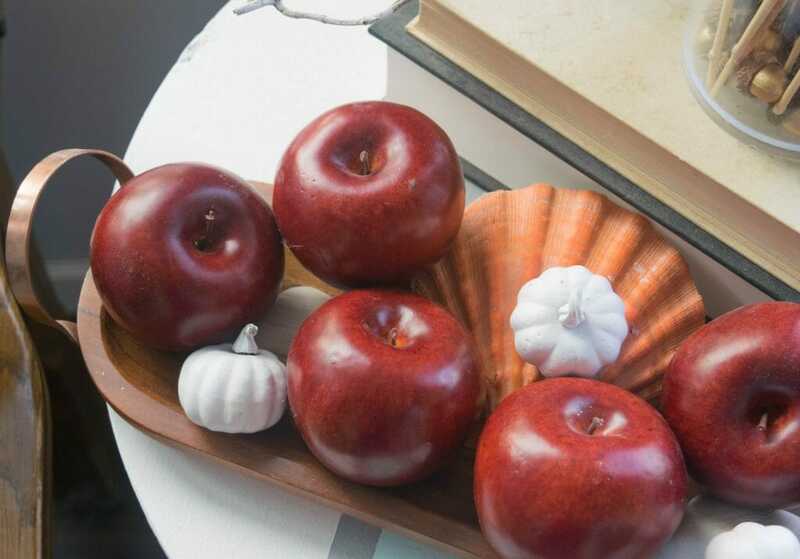 I love using things like apples and pumpkins to decorate with. 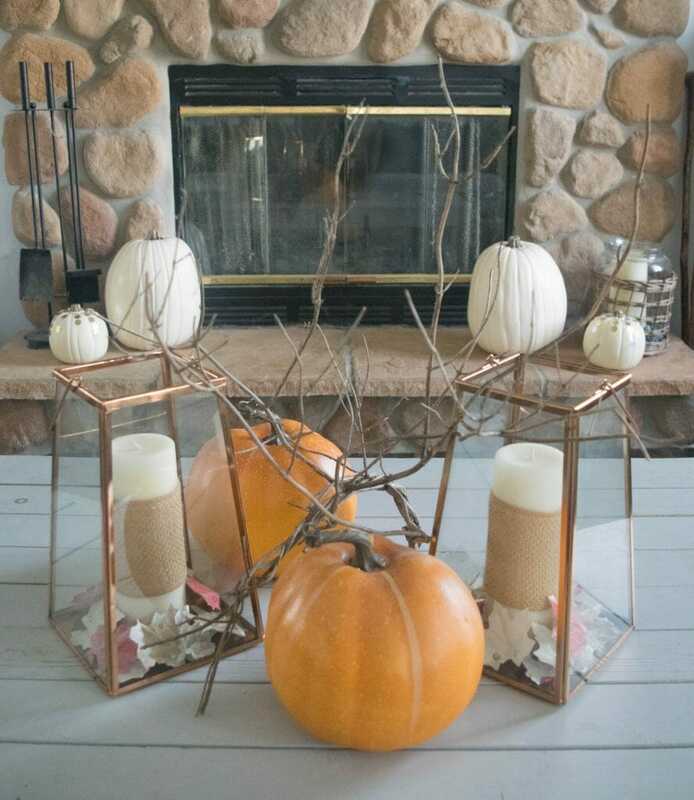 I have to get our Fall decor out! 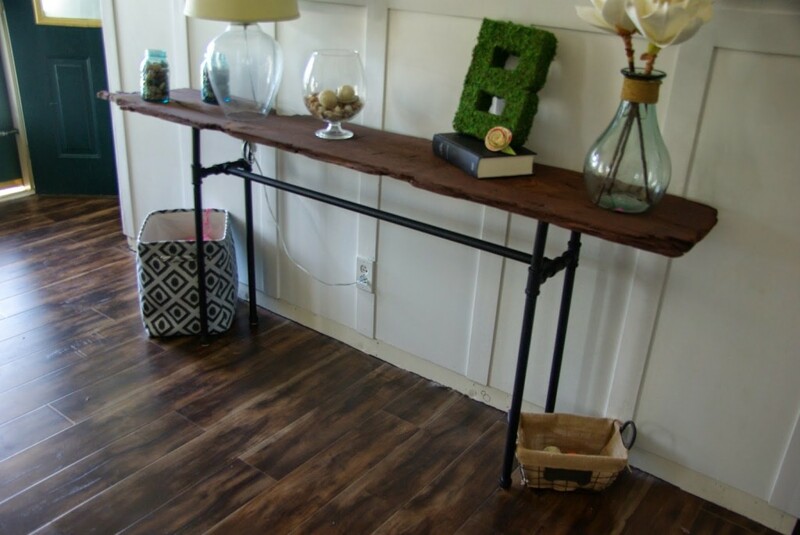 These are beautiful touches that add so much to your home! Fall is my favorite season. I’m obsessed with this decor. All of your photos look amazing. I wish I had the creativity. 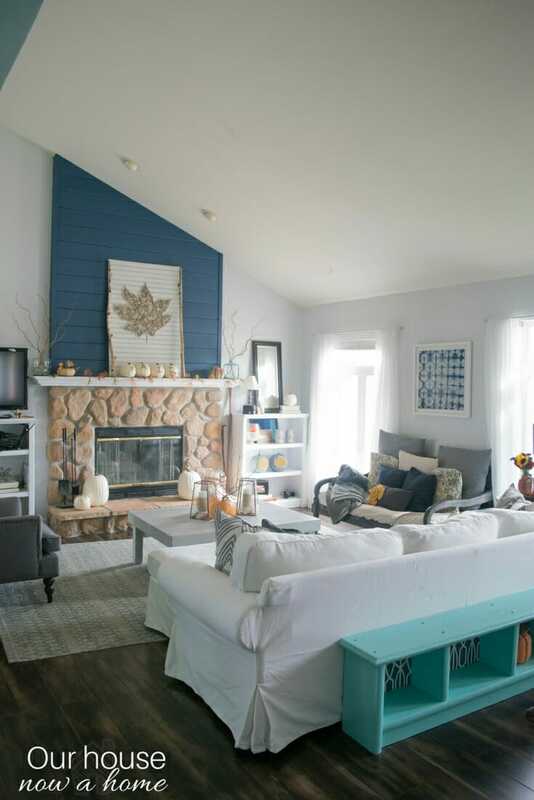 First I love the color palette in your home. it’s lovely!! And I love your pumpkin interpretation. It’s so original and unique that I think you could use it all year around when you’re in the mood for a pop of color. I love the more neutral, lighter look for fall! So pretty and refreshing! You did a great job. I know I am always saying this but your house is beautiful. 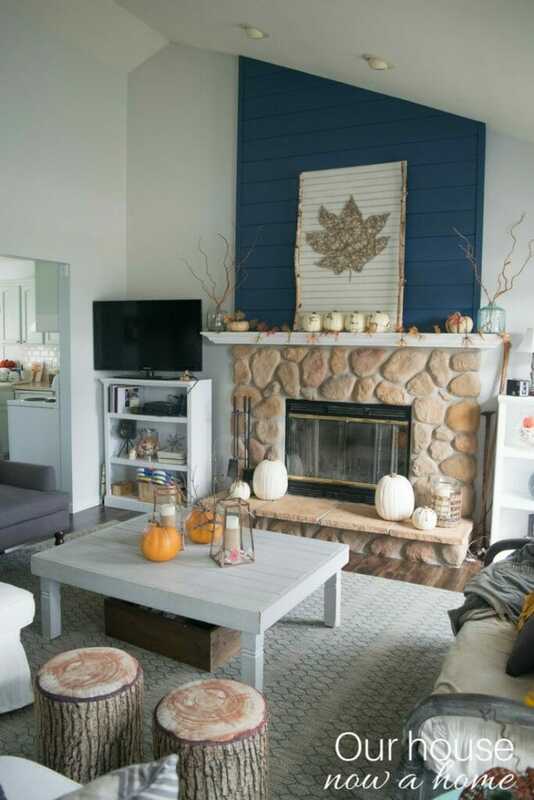 I am loving the fall decor so much. I love fall and all the pumpkins and leaves. That is so warm and welcoming for fall! I love the bright touches, which just pop! You did a really beautiful job. 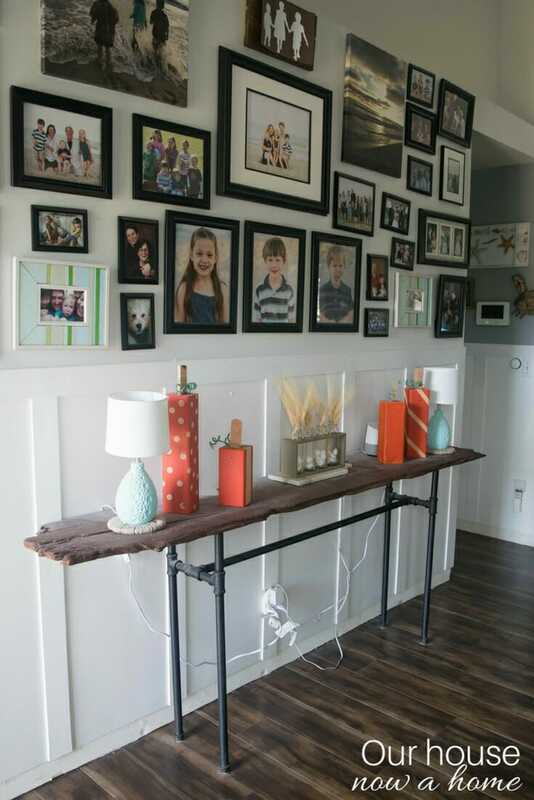 I really like what you did with your mantel and table surfaces. 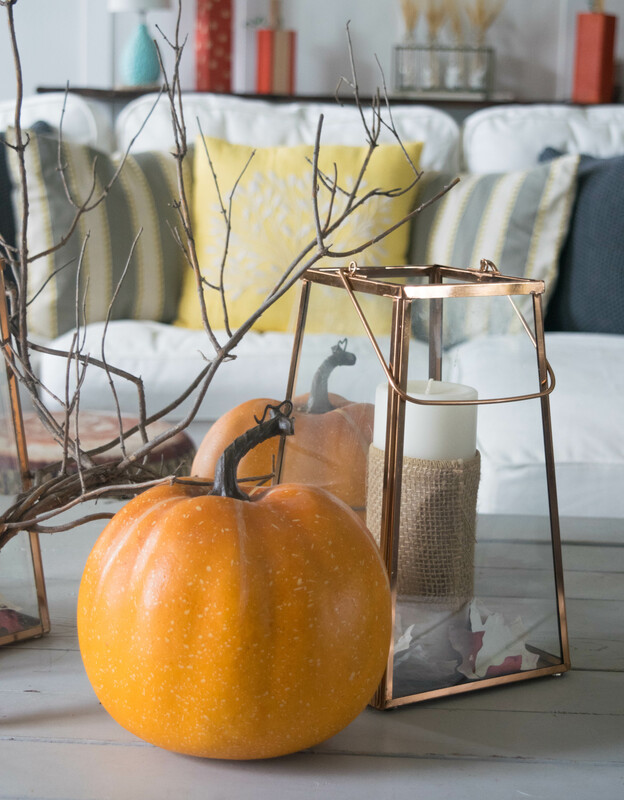 I wish I had a few more fall accents to use in my home. I adore your decor! I am trying to convince my son to cut some 4x4s for me, so I can make pumpkins and scarecrows! The colors you chose all go so well with the colors you already use. Beautiful! Wow, I adore all of your decor! 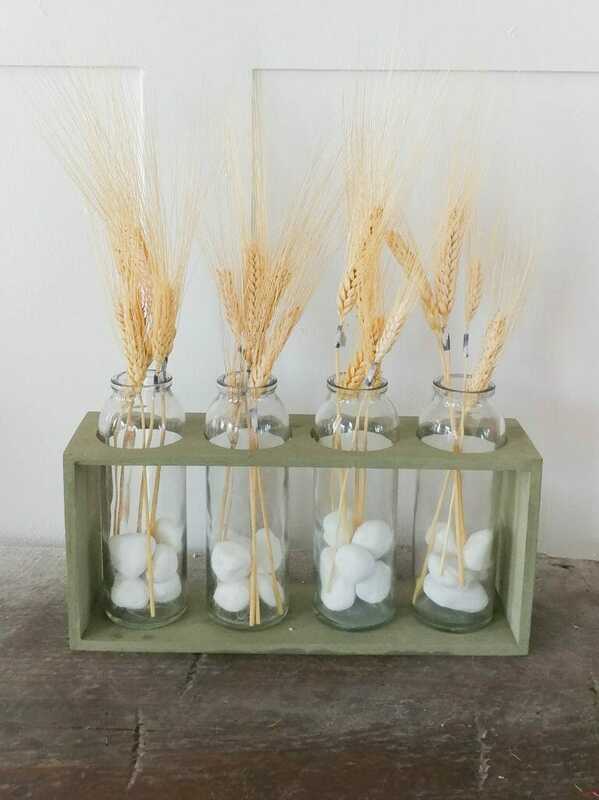 Love that it’s so bright, simple with the perfect rustic touch and best of all the DIY’s!! This belongs in better homes & gardens or something! It’s just beautiful! I love the white pumpkins and the lanterns. So clean and simple. A home is a reflection of the owners personality. Your home is so bright and lively, I am sure it reflects your character. Loved the decor and the play of light. I really love how you’ve added touches of fall all throughout! 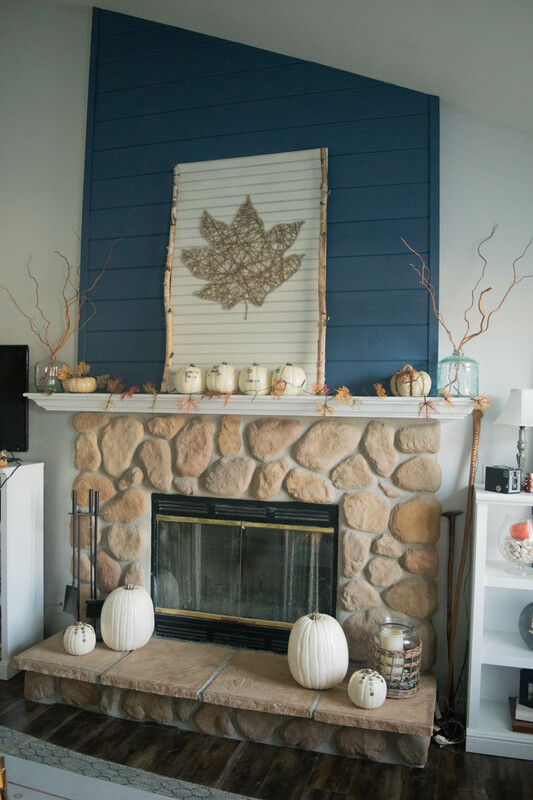 It makes me want to buy more fall decor to add to my collection! All of your decorations are amazing and like the color combination you picked. We don’t have fall season here in our place but I am loving the pumpkin decors you placed around the living room. 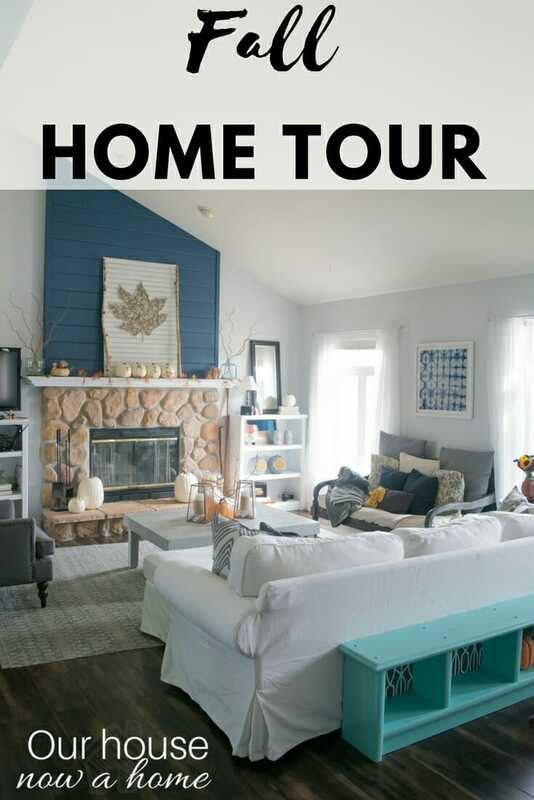 I just love home tours! Your home is so beautiful. The tree stumps in the living room are my favorite. I love the simple little touches of fall. I love the way you made everything simpler. However, these decorations packed a punch! There is indeed beauty in simplicity. Your home is really beautiful! 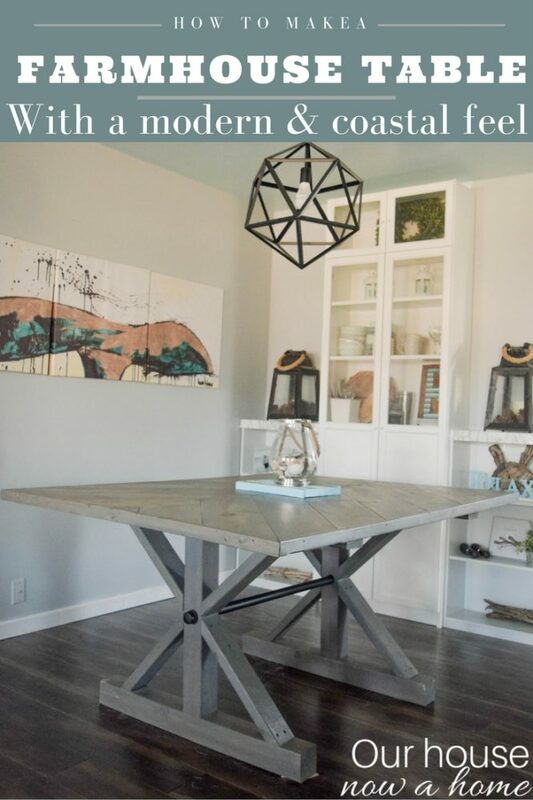 I love how open and bright it is and your attention to detail is impeccable! 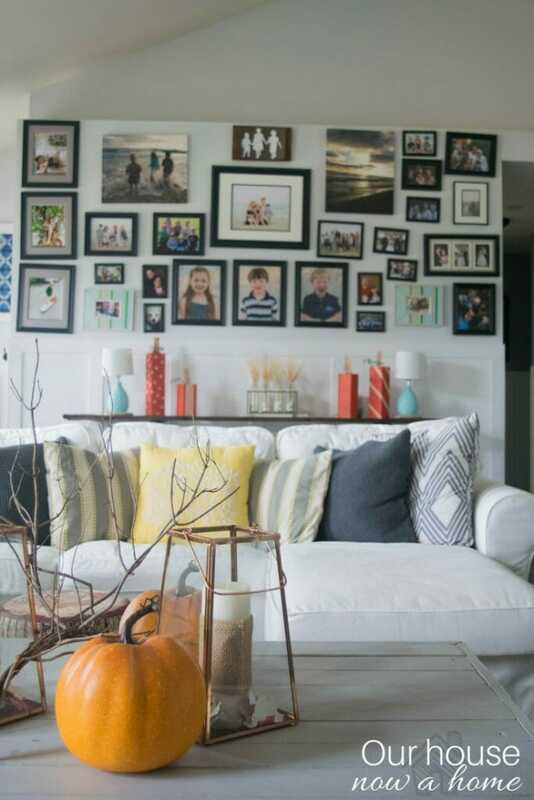 I love your Fall decor, and your family photo wall! I would love to redo the one I have! 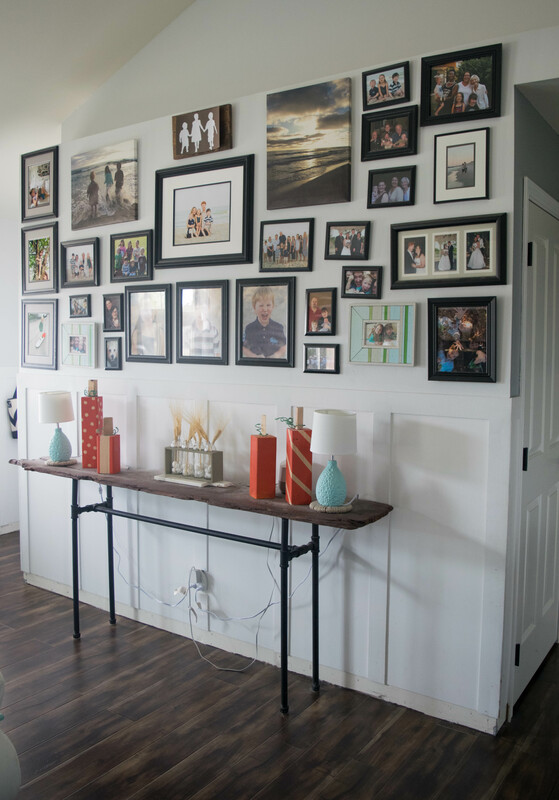 Wow i love everything especially the wall of photos! Those wood candle is very simple yet beautiful! OMG can you come decorate my home? I love all your decorations! Every time I look at your home I always see something new. Those floors are gorgeous. Are they new and where did you get the flooring. 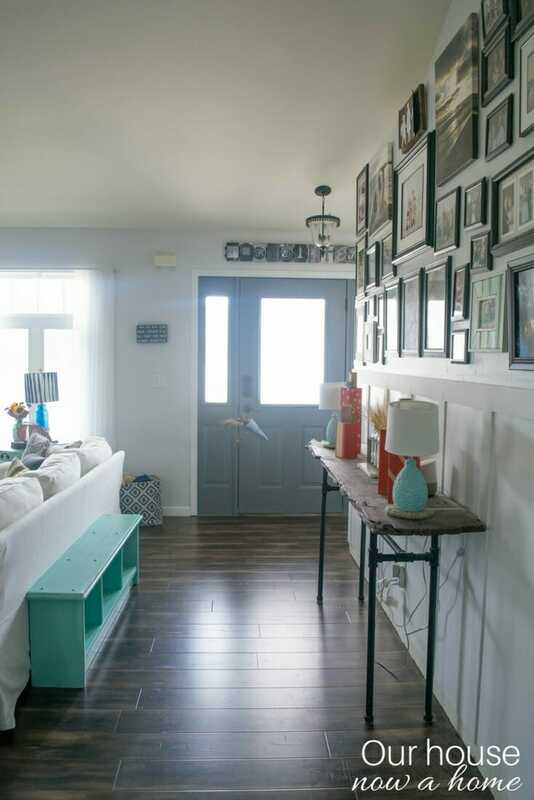 I just sold my home and planning on building a new one and looking to add dark floors this time. 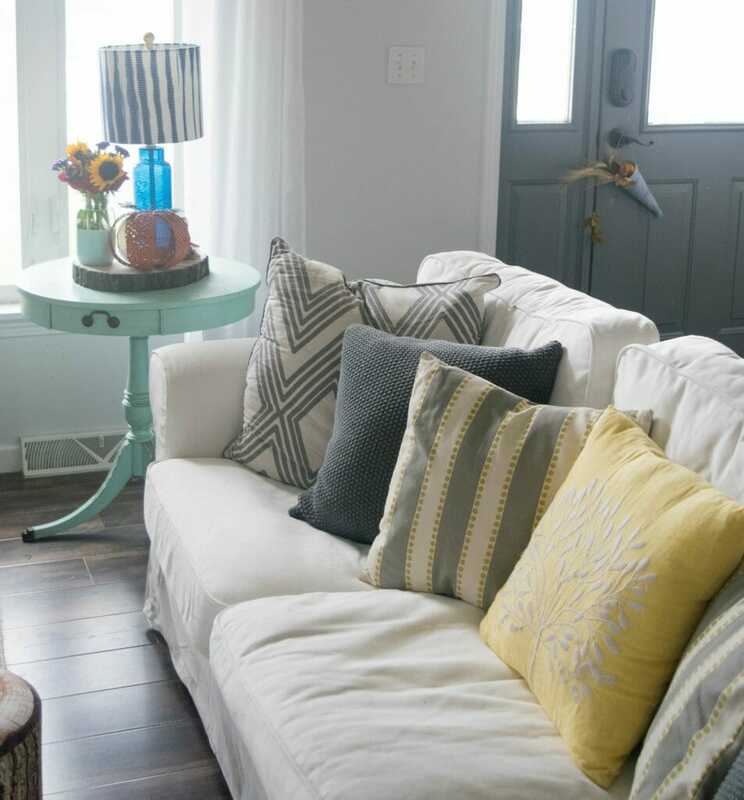 I love the colors and style of your home! 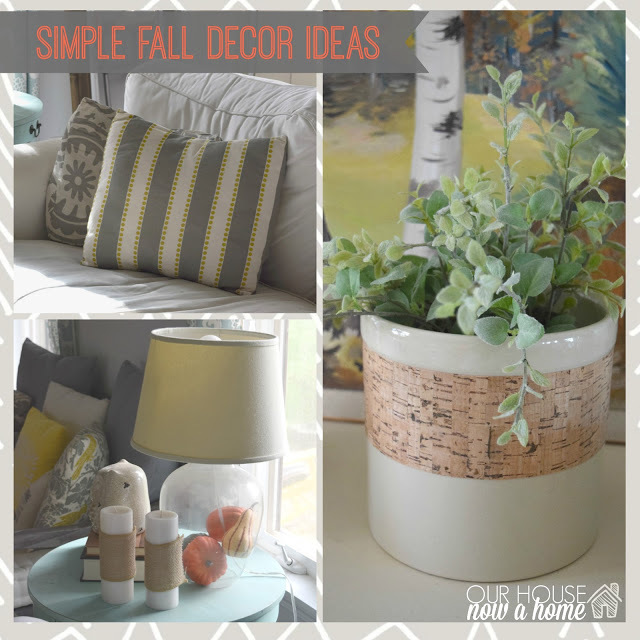 All your fall decor is perfect! 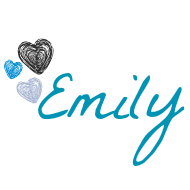 So pretty, Emily! I love your mantel decorations so much! That large leaf is awesome!